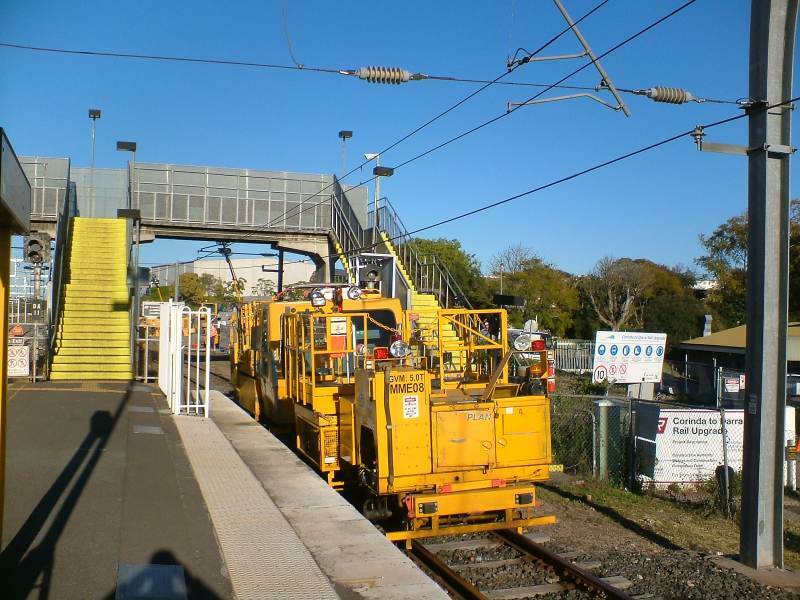 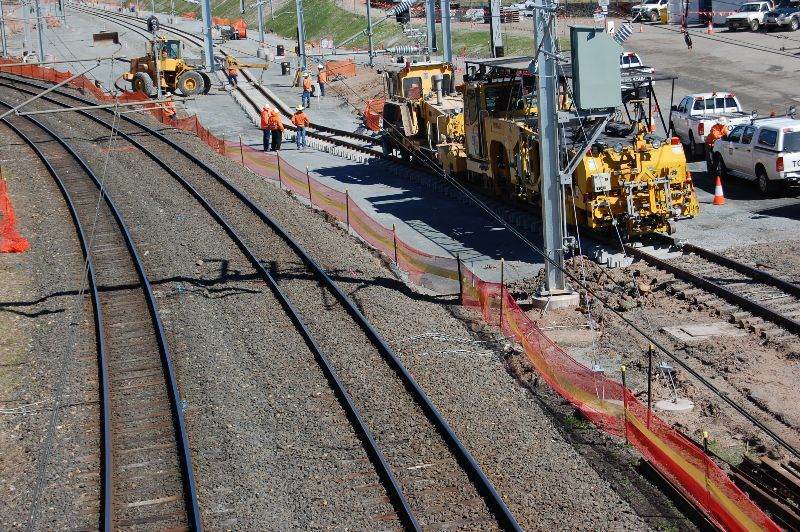 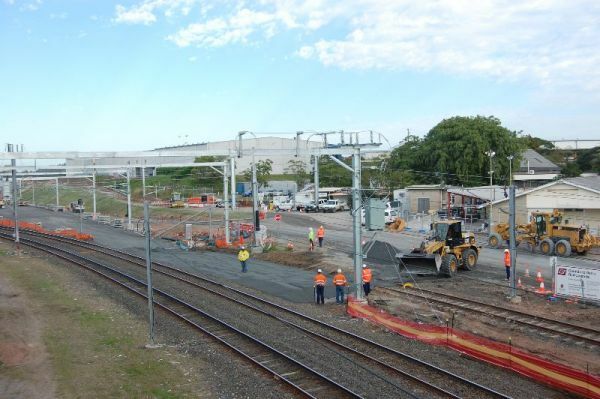 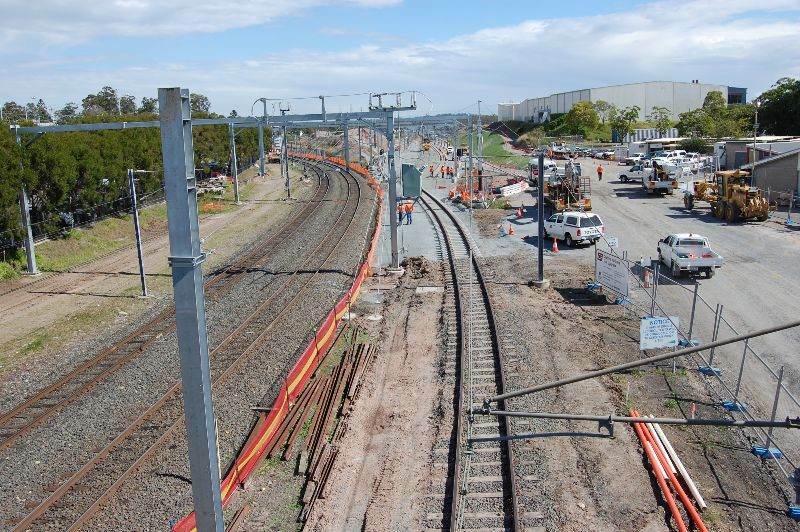 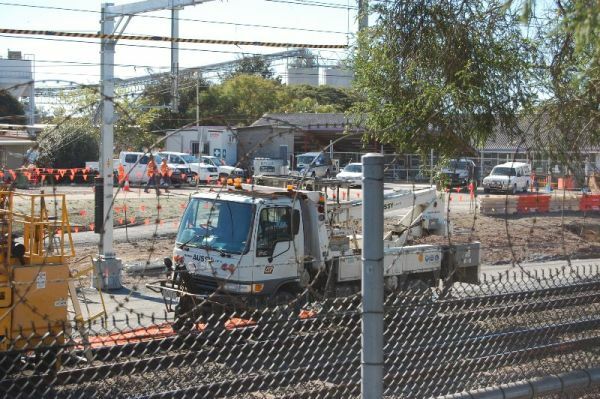 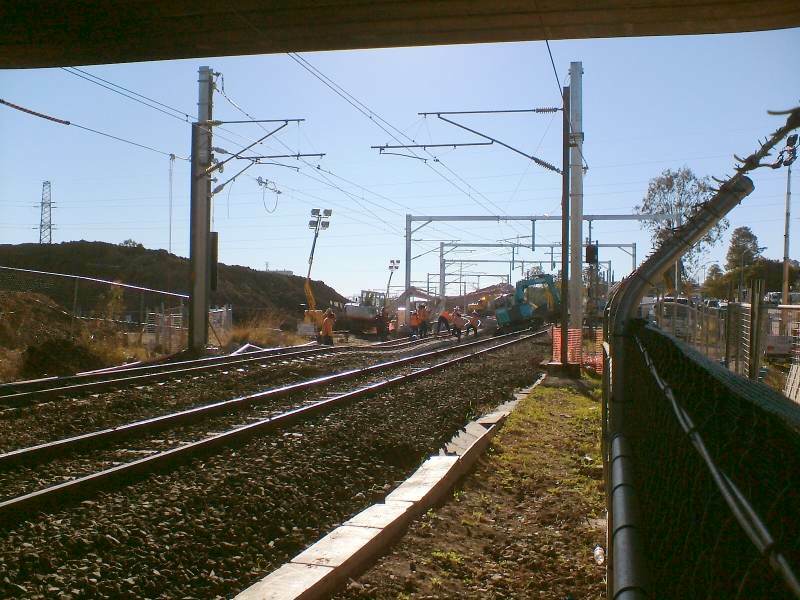 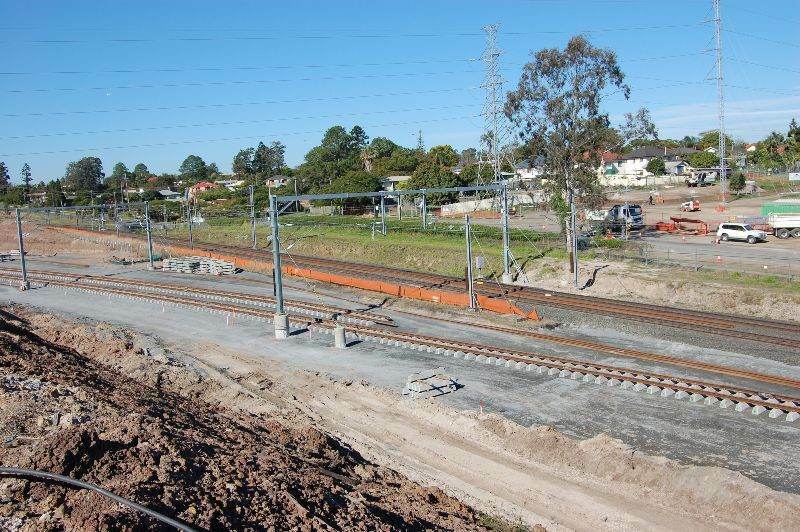 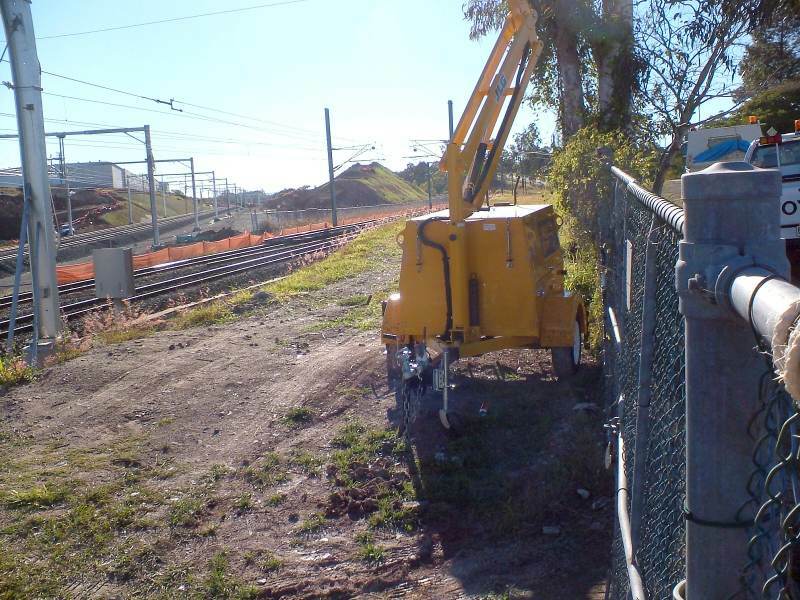 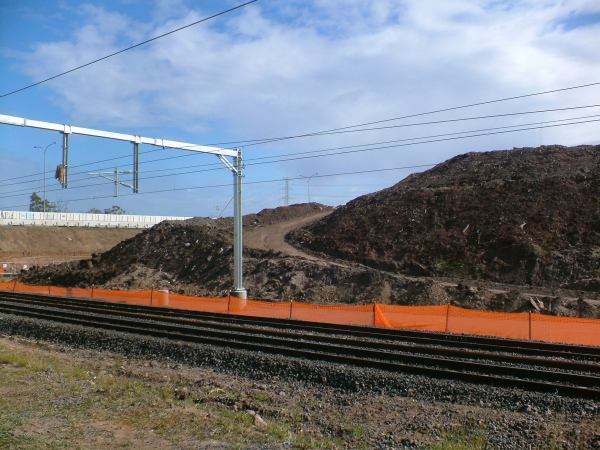 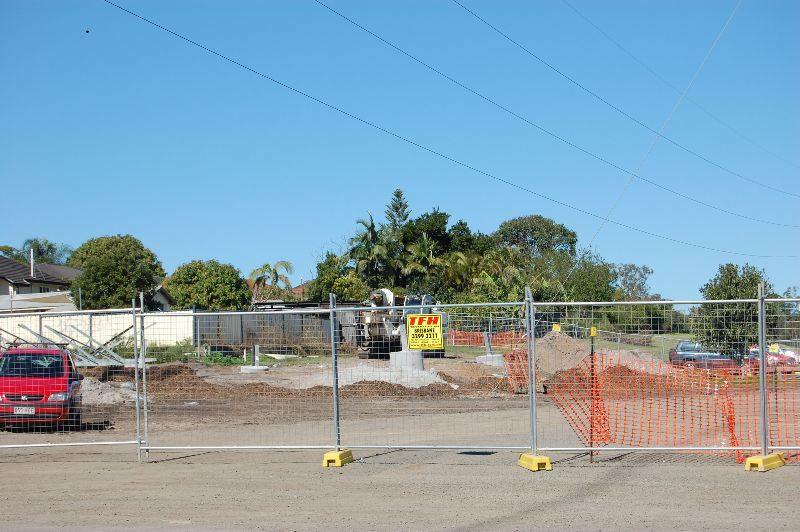 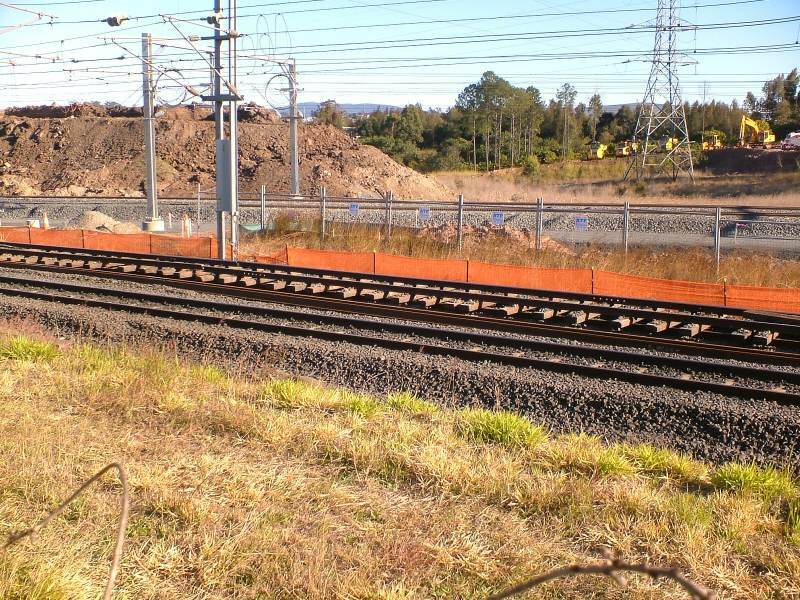 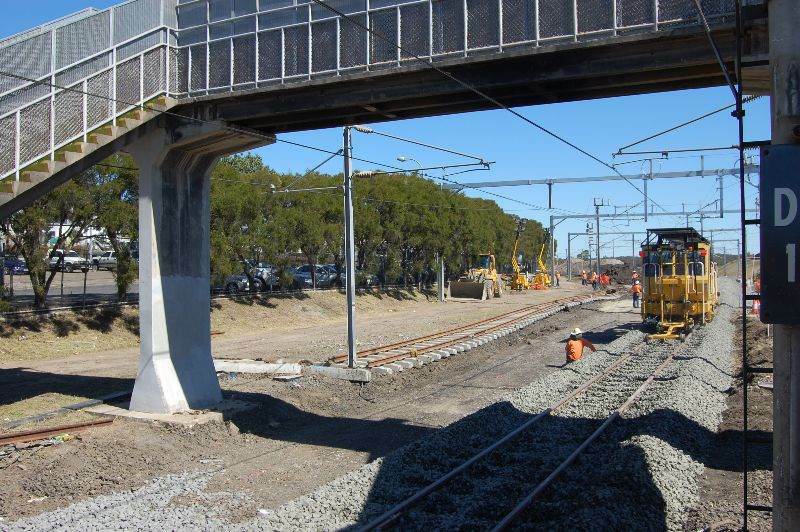 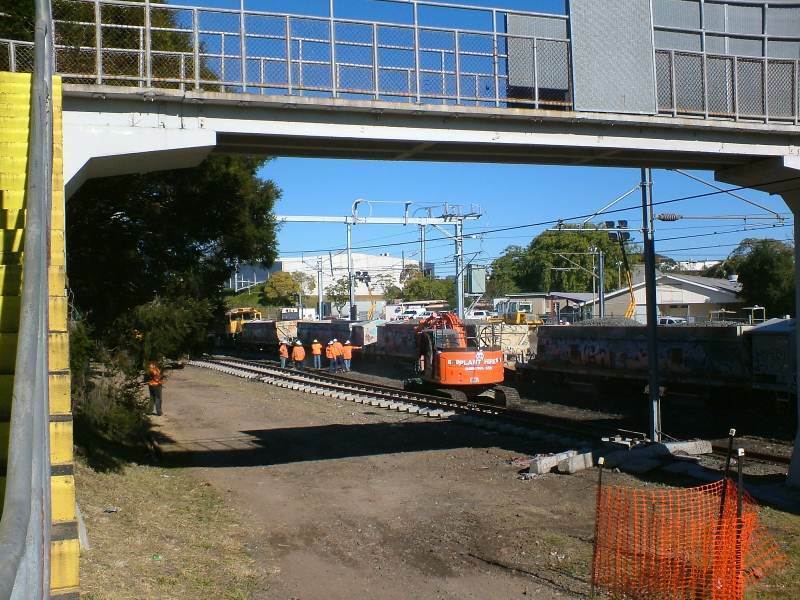 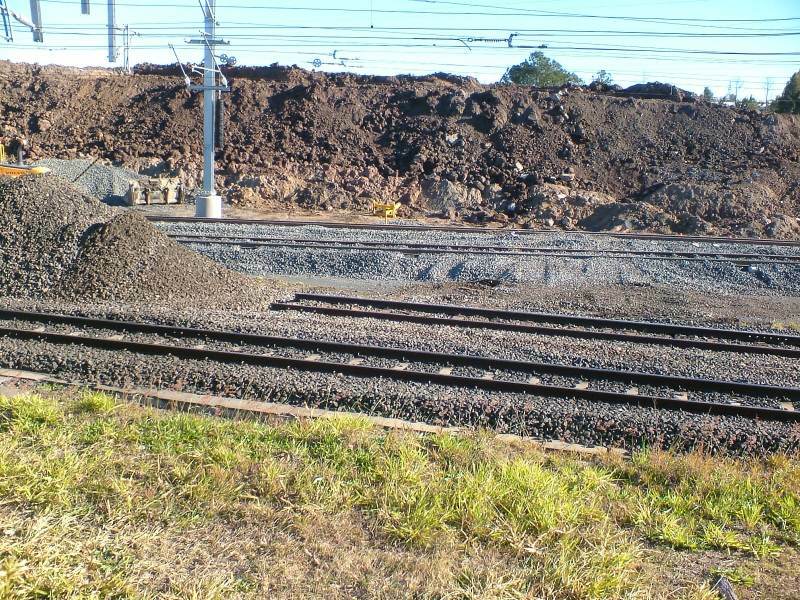 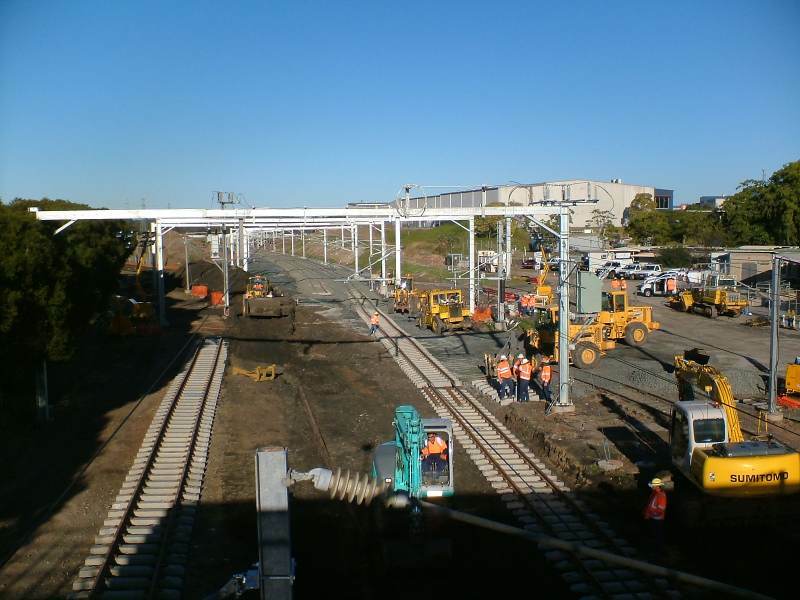 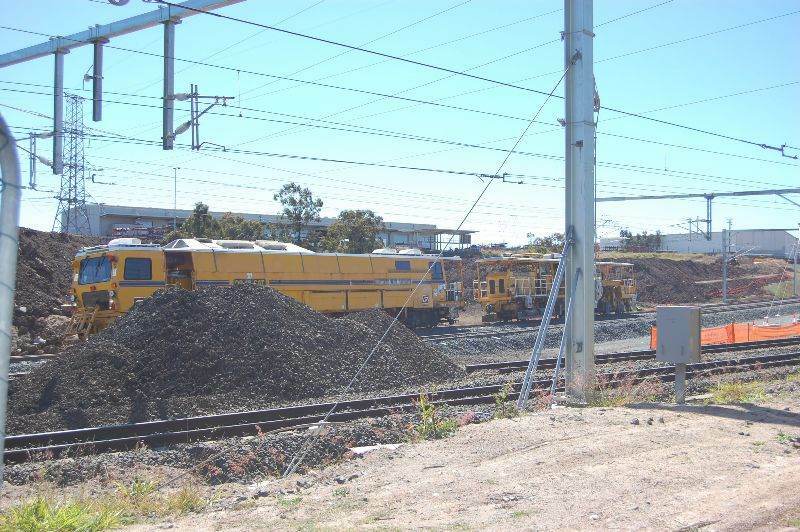 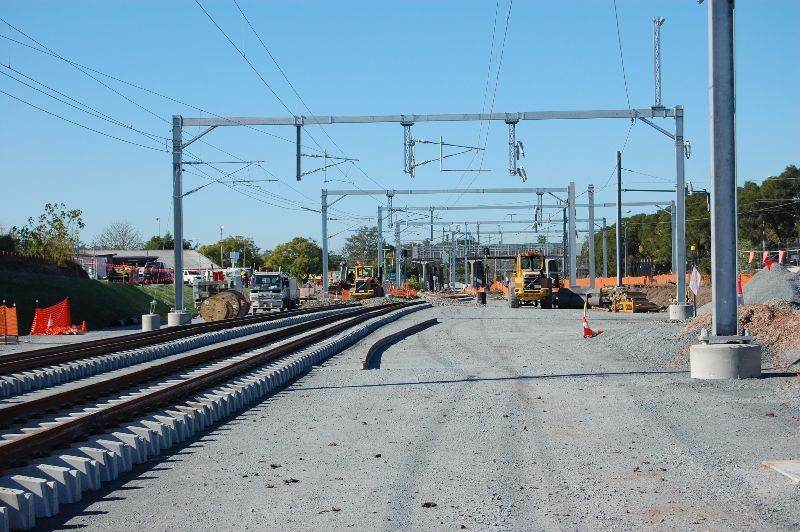 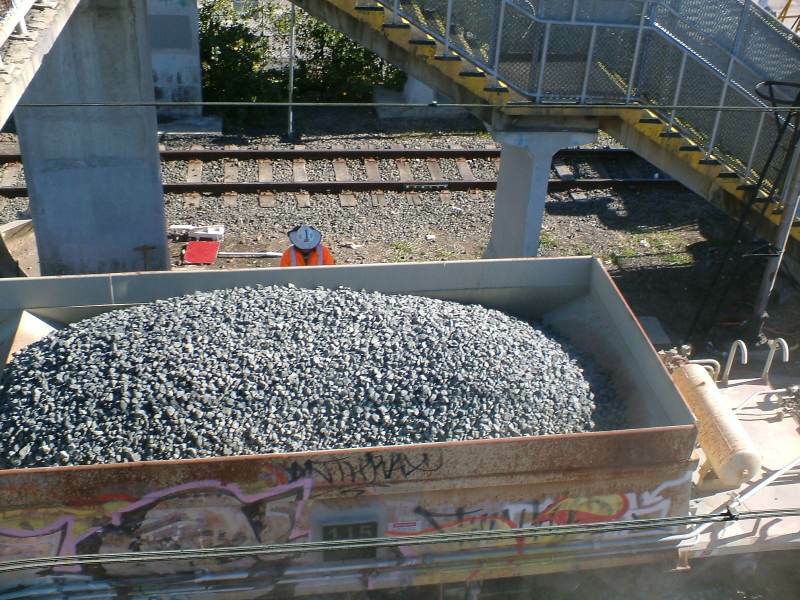 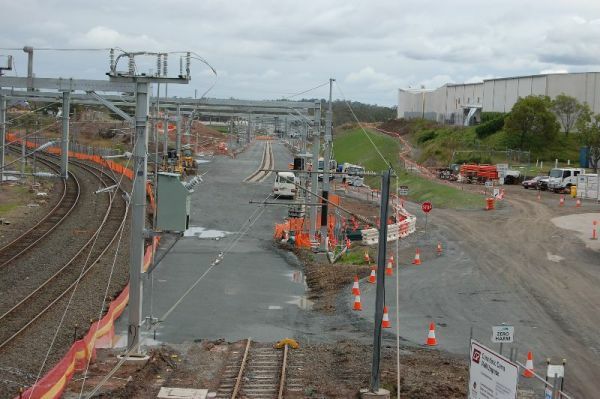 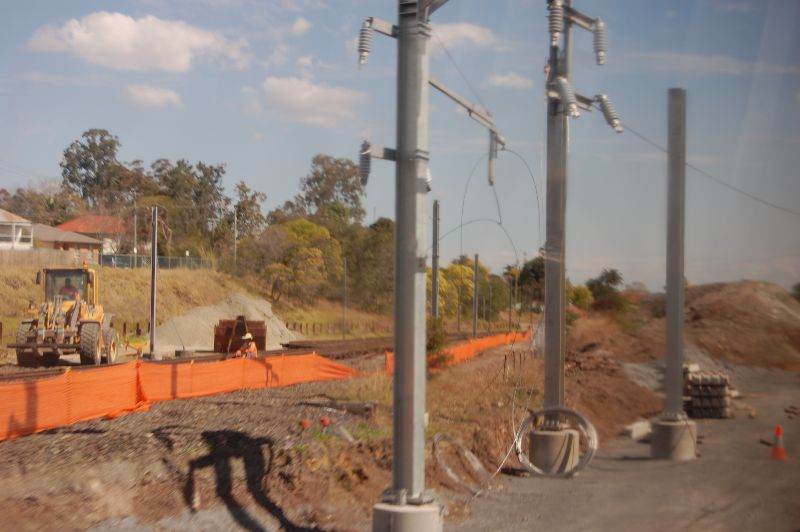 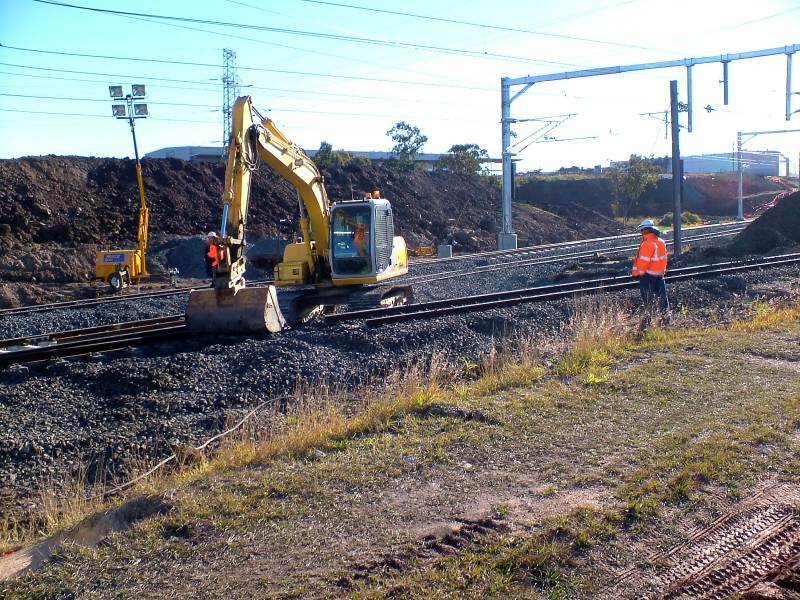 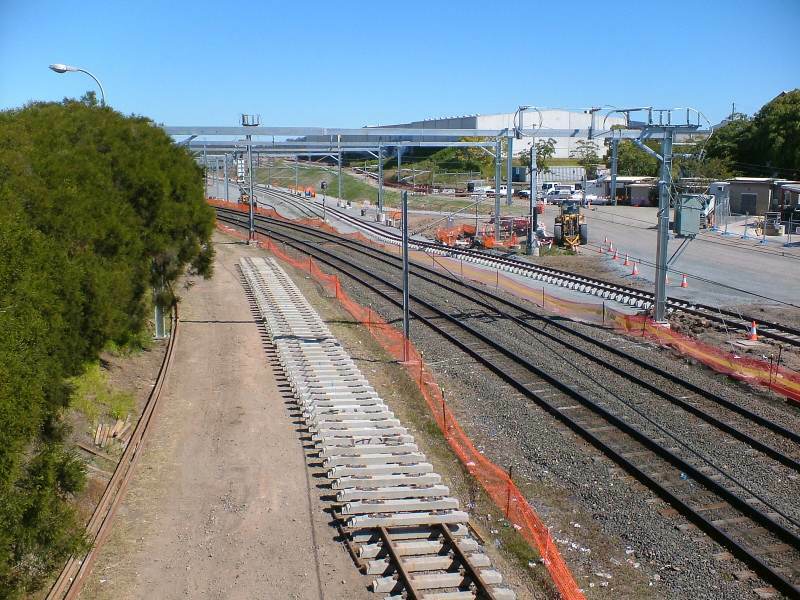 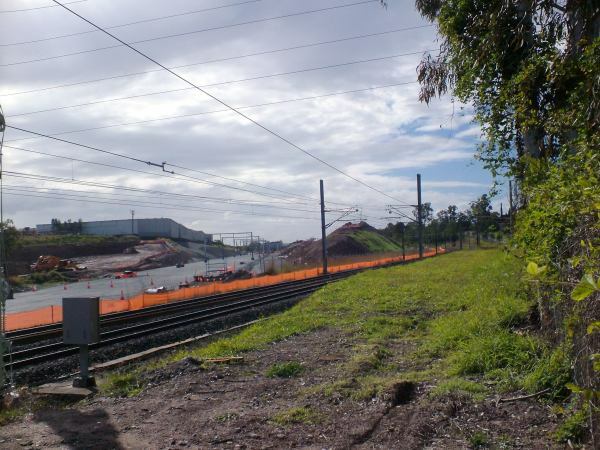 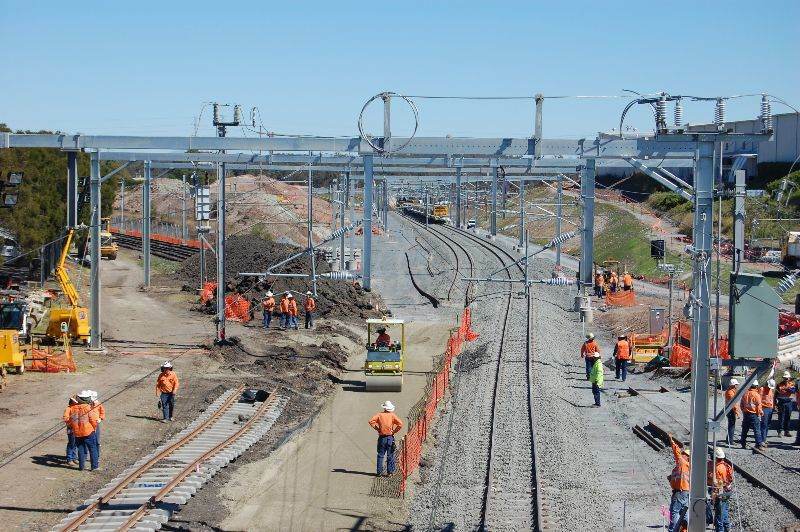 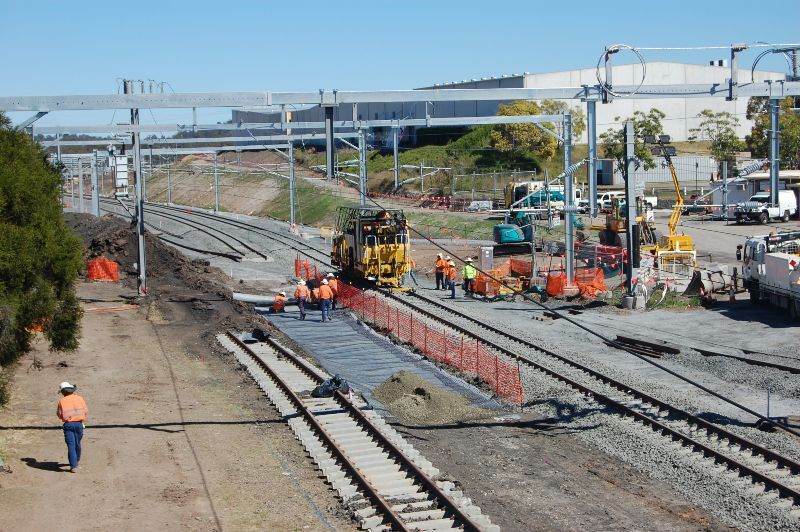 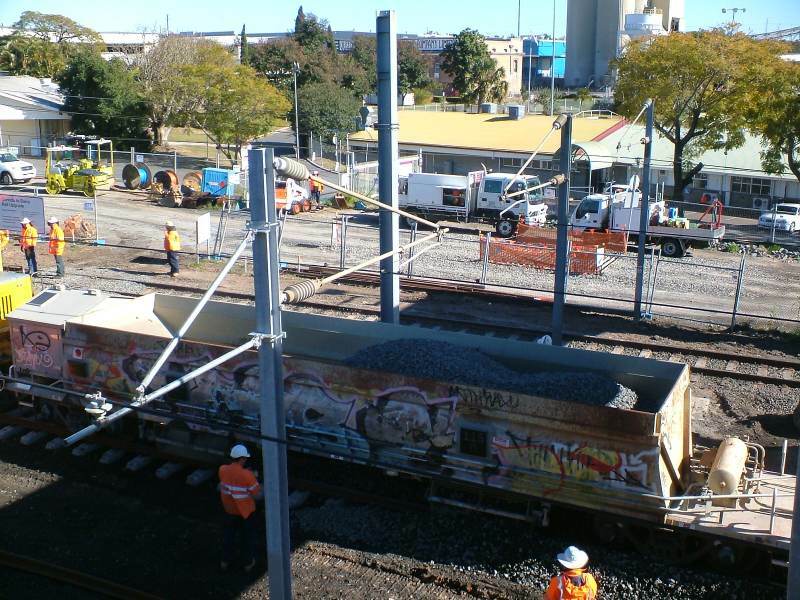 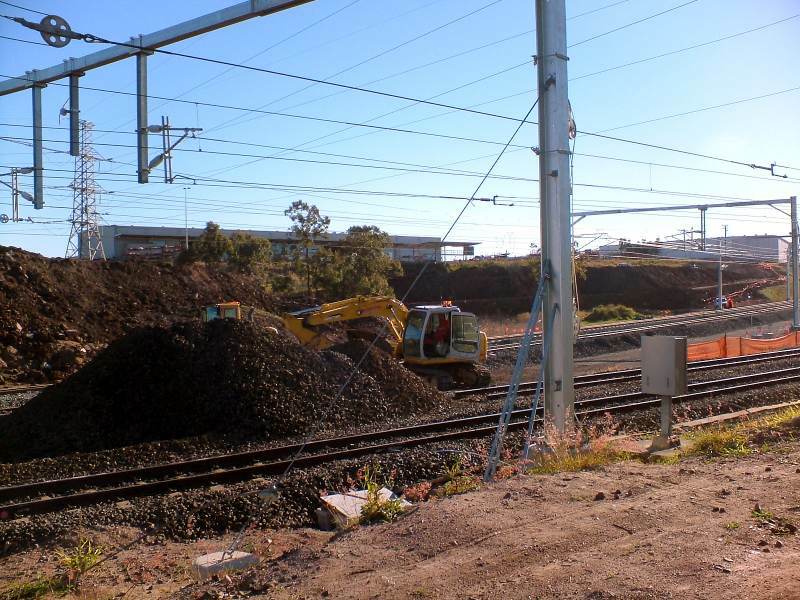 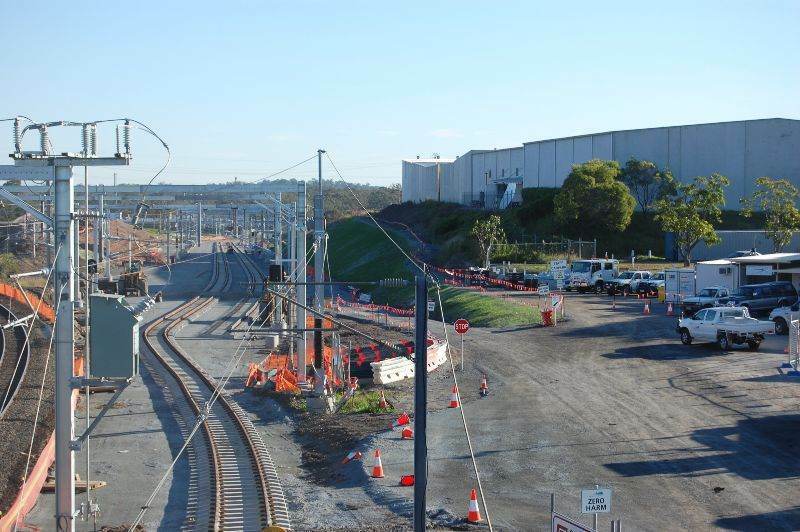 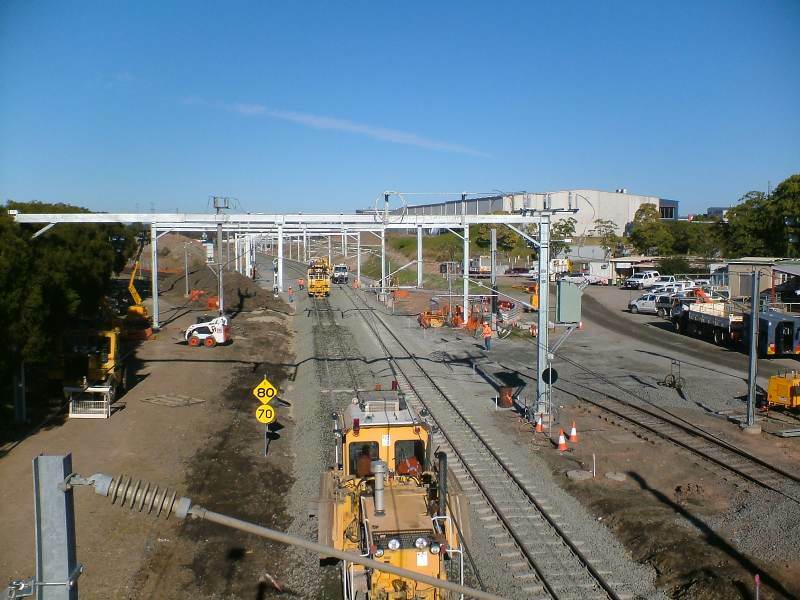 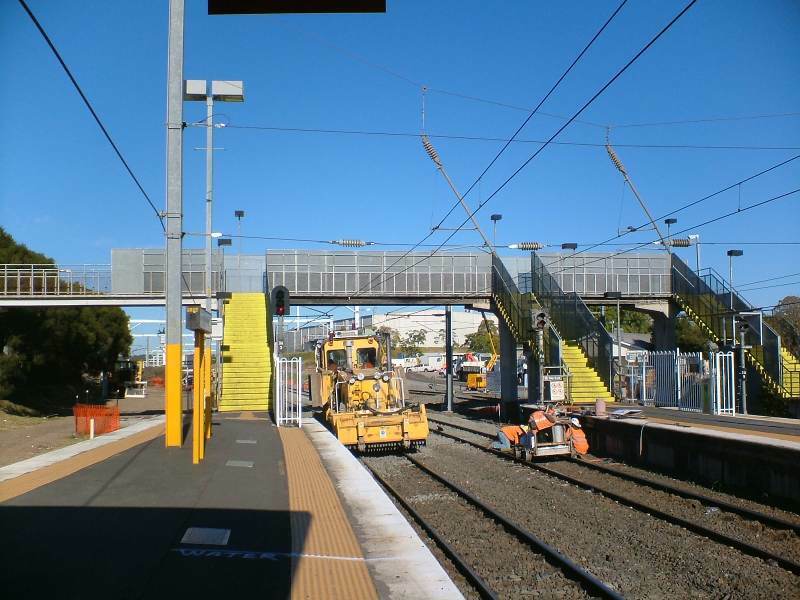 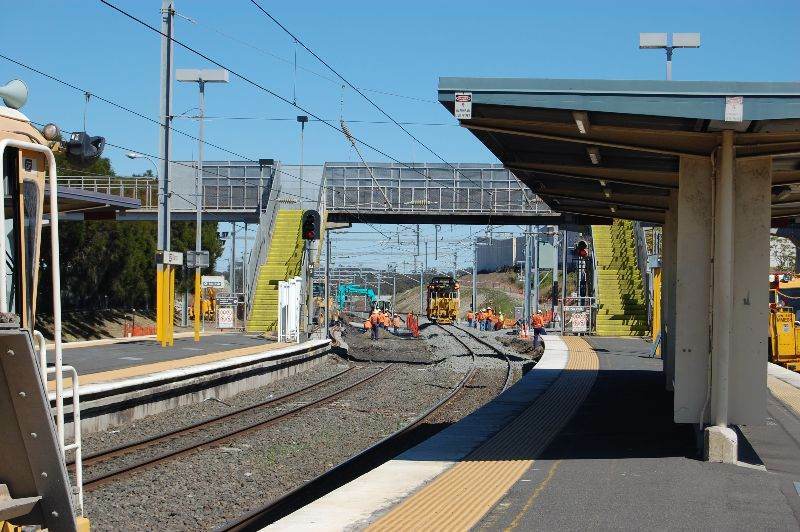 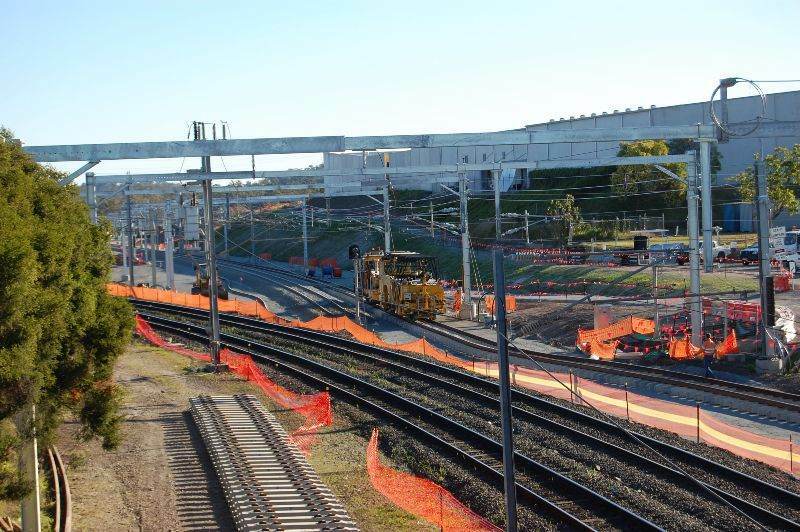 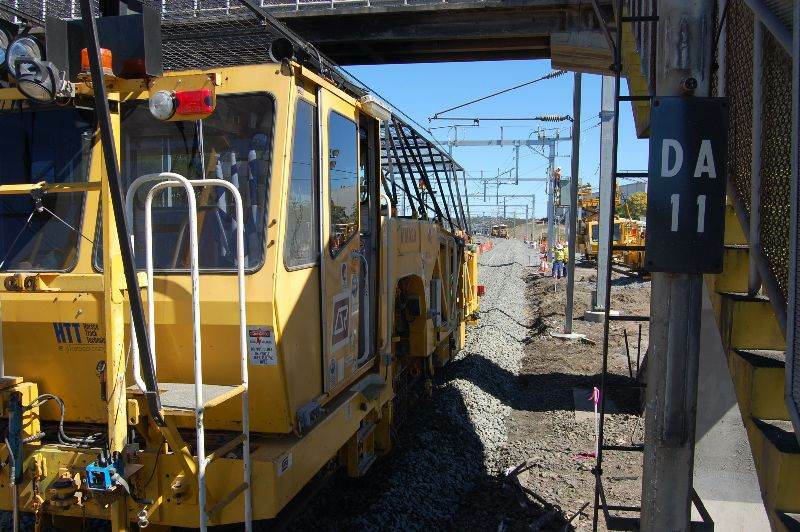 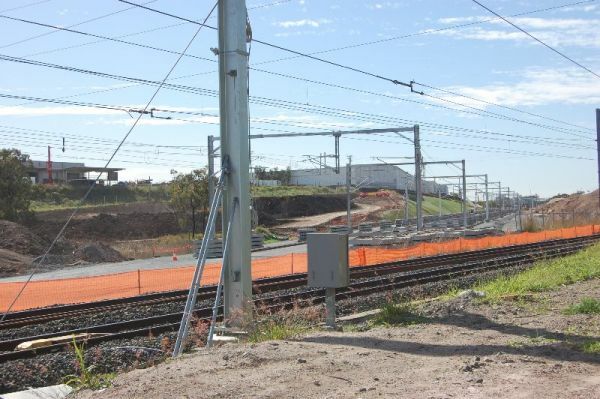 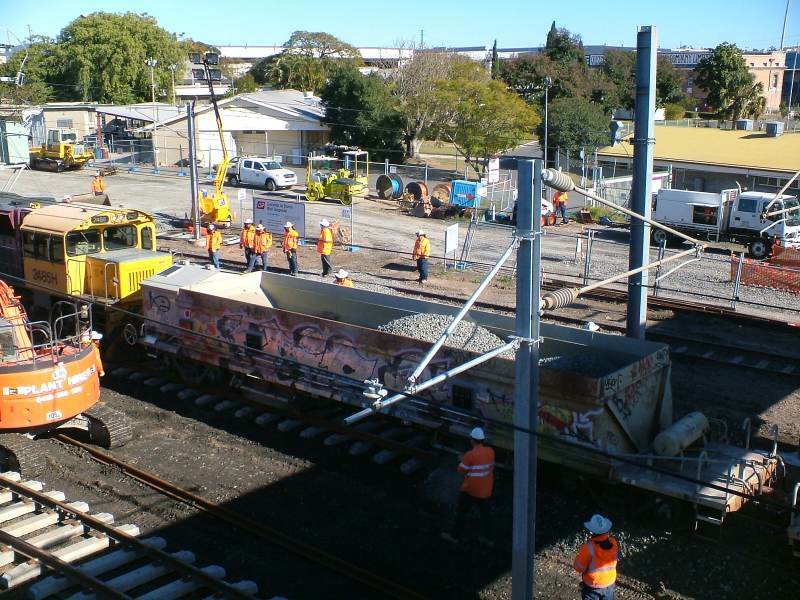 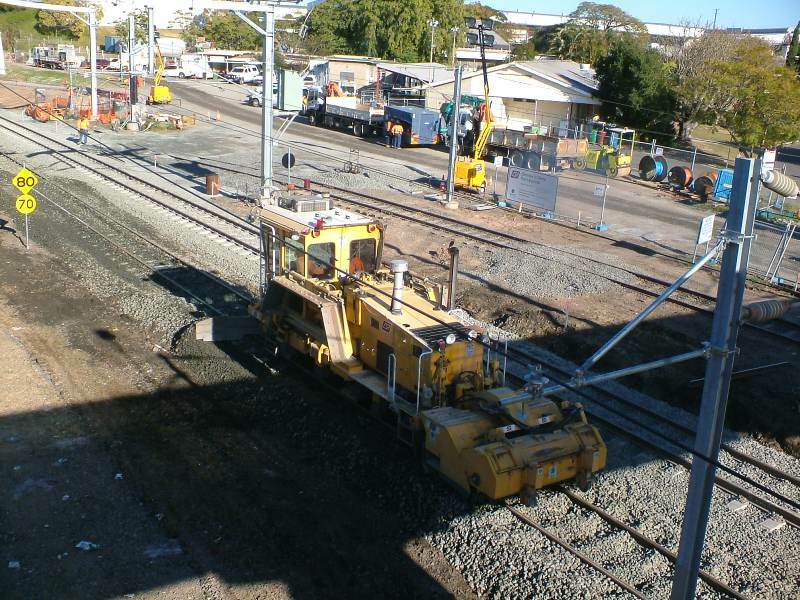 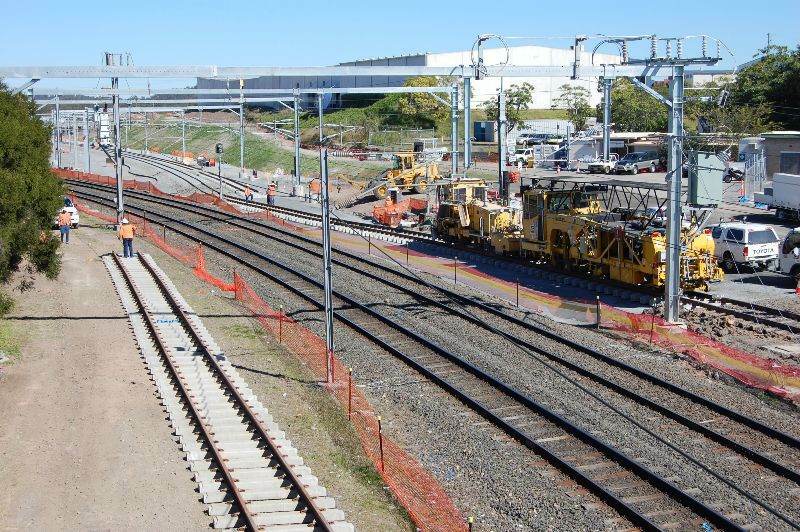 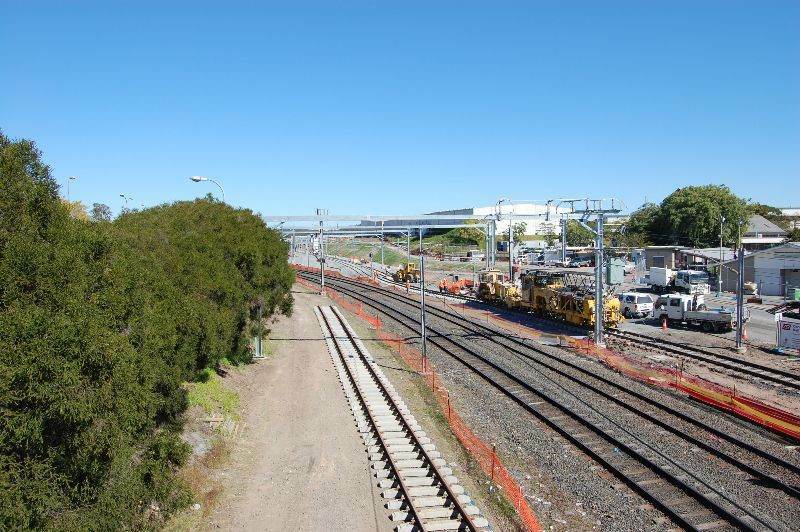 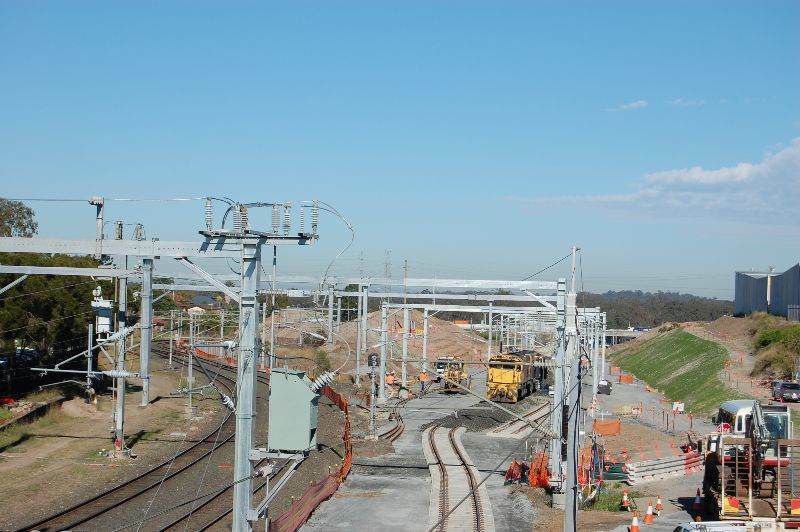 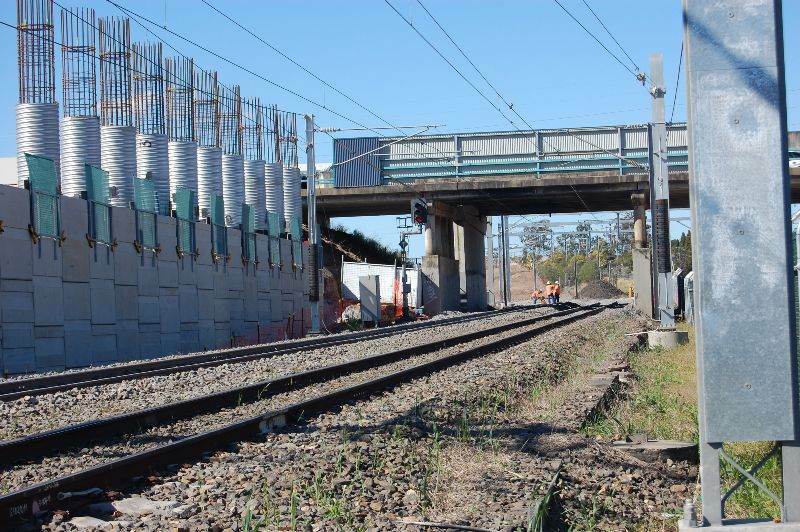 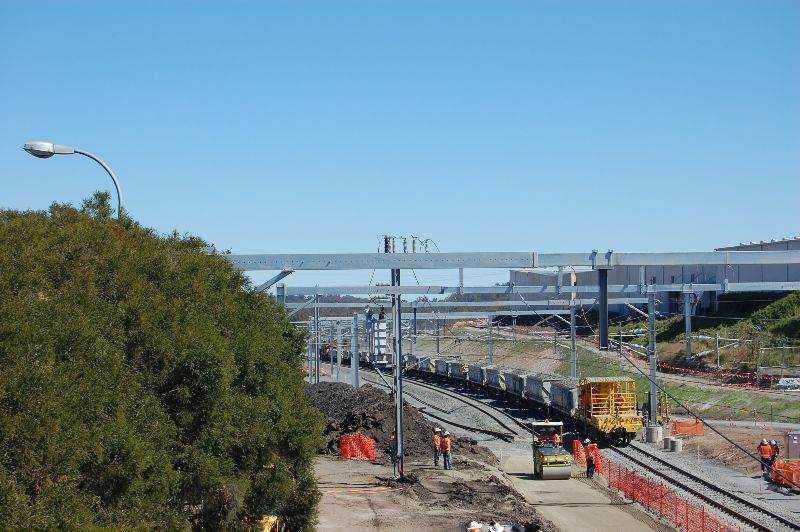 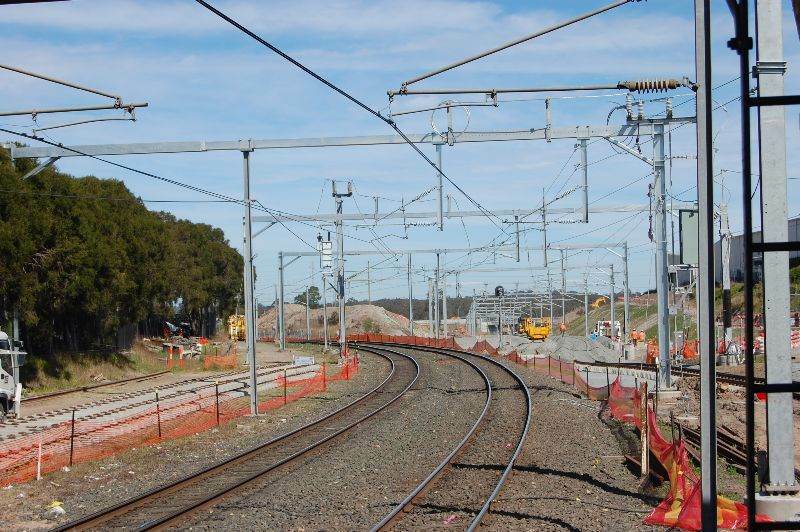 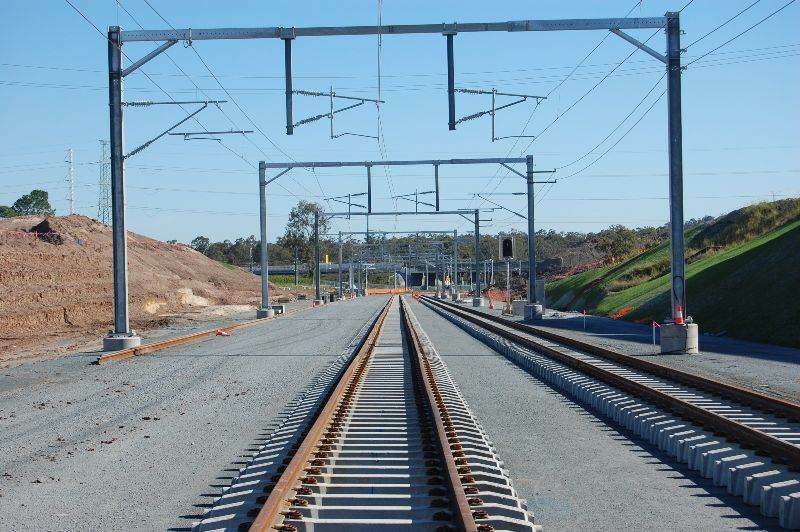 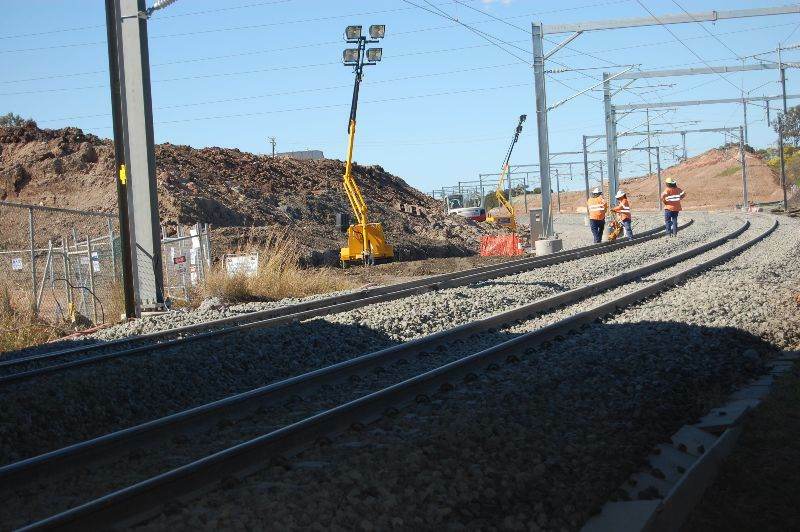 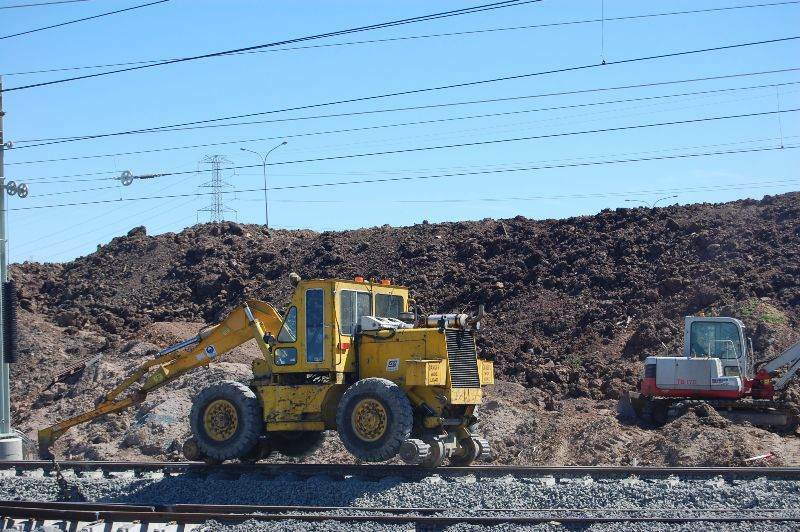 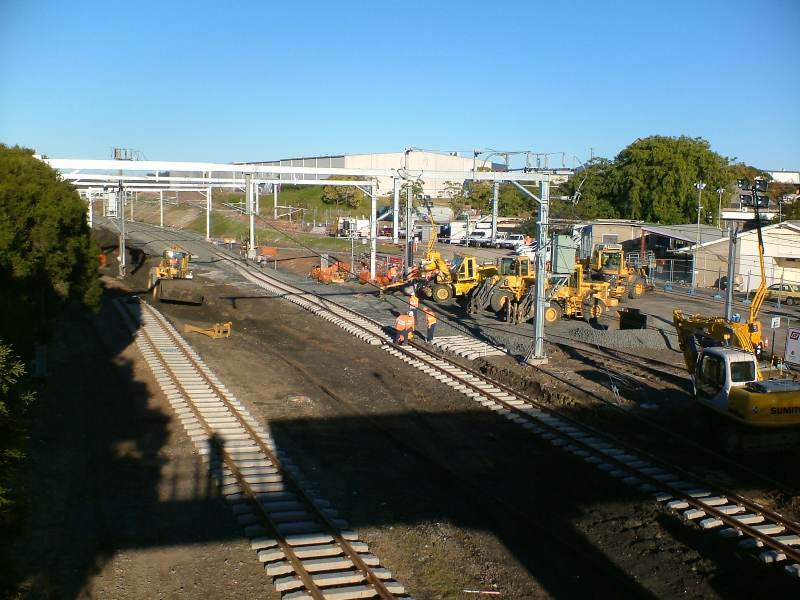 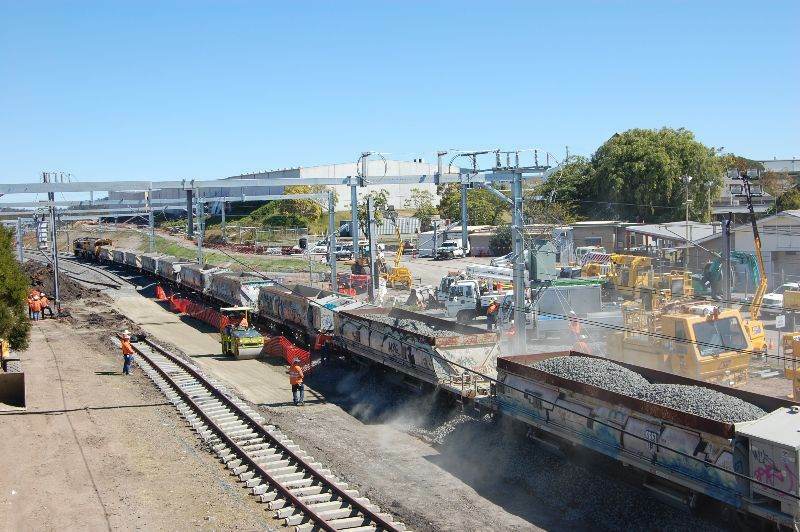 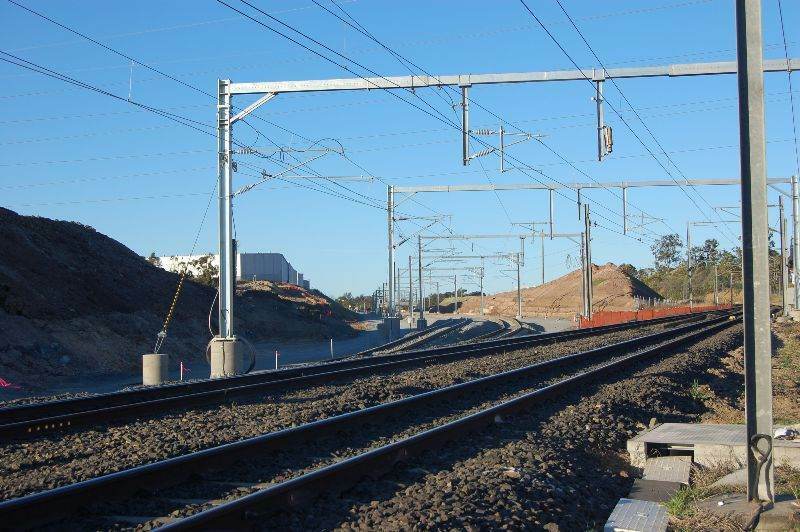 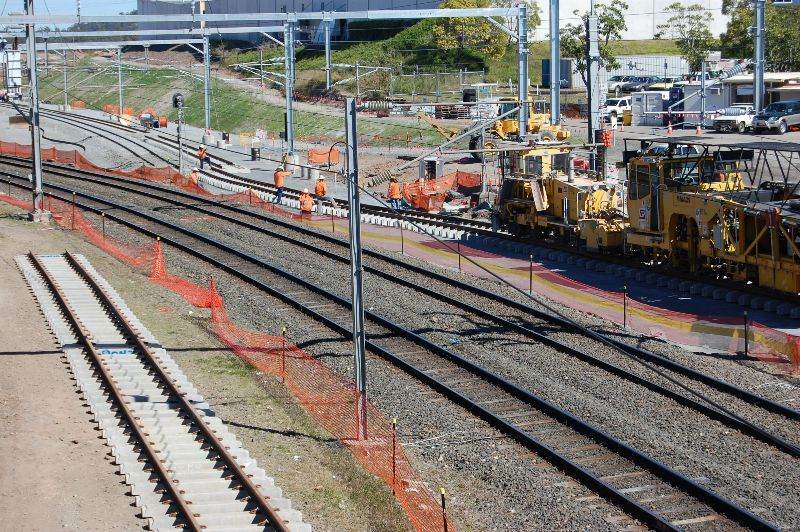 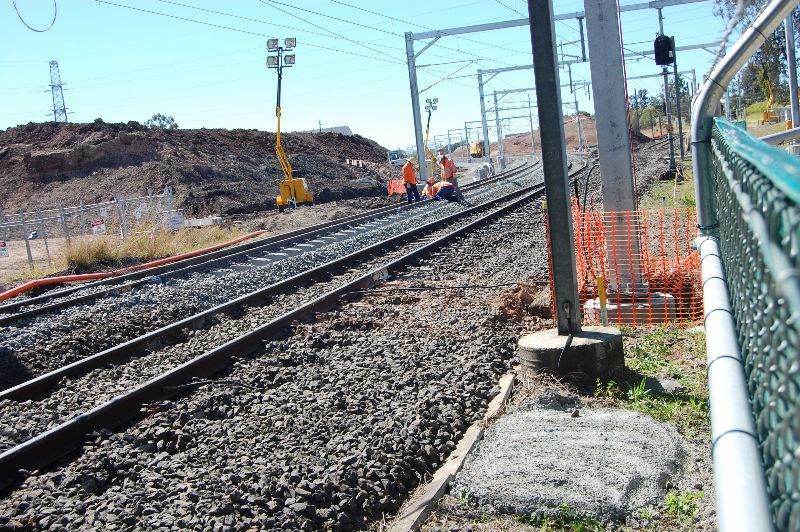 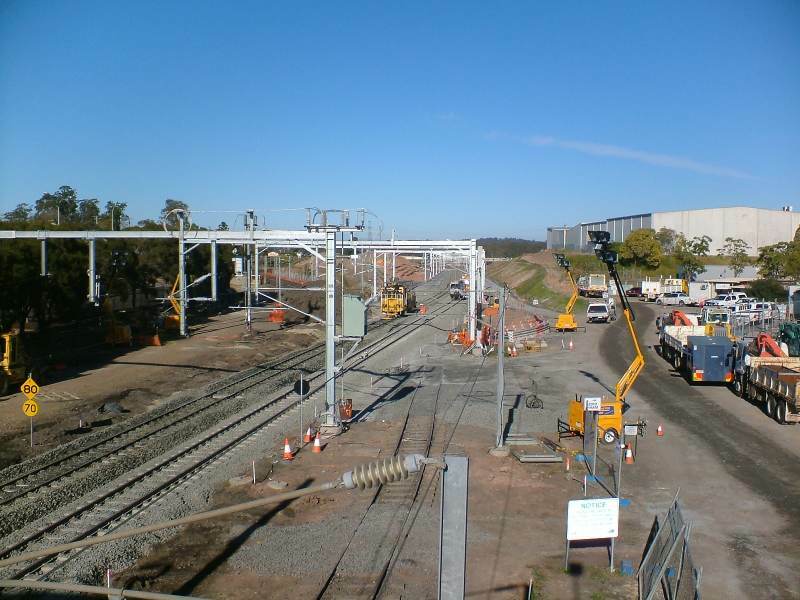 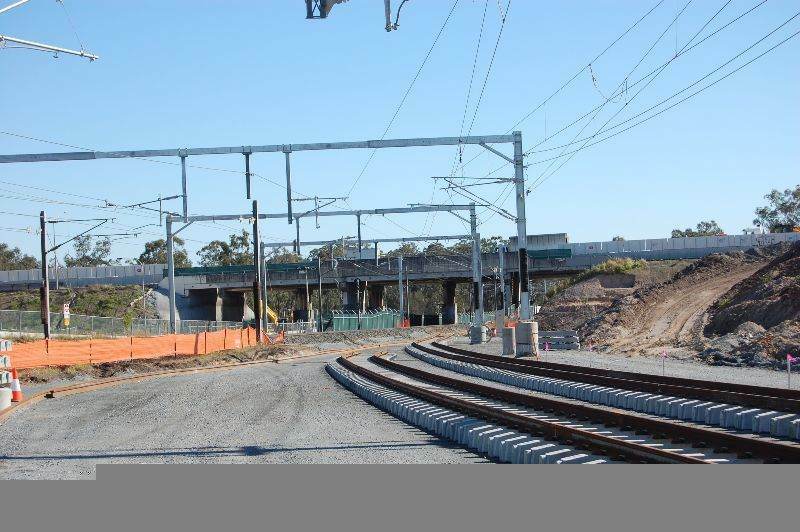 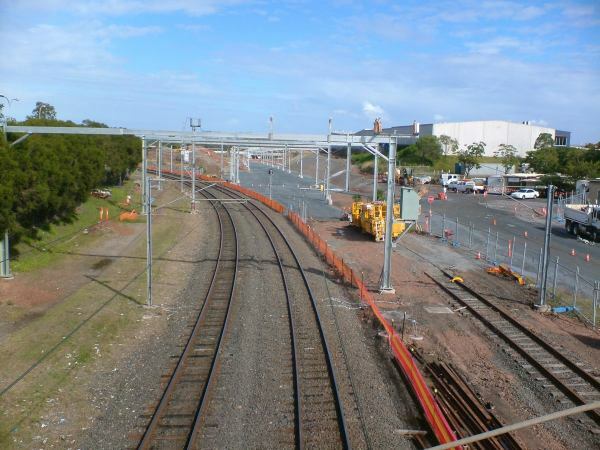 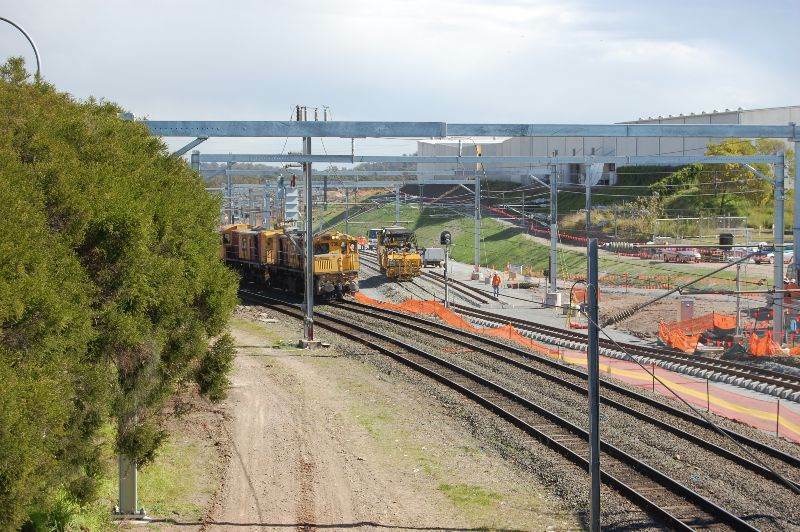 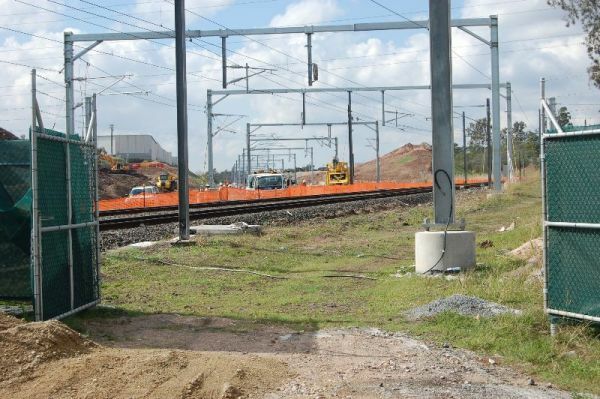 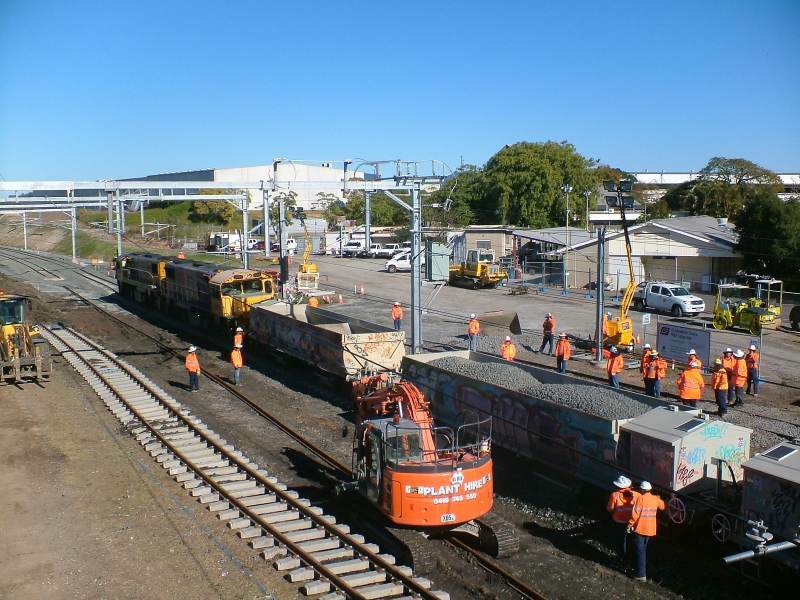 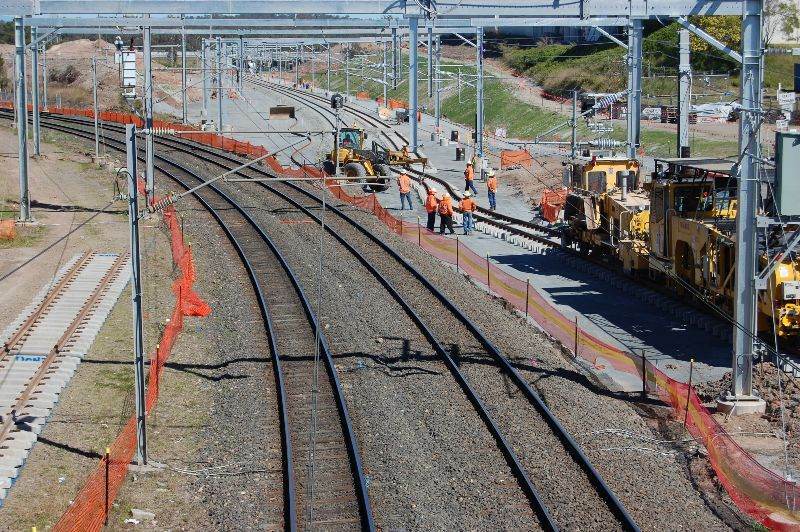 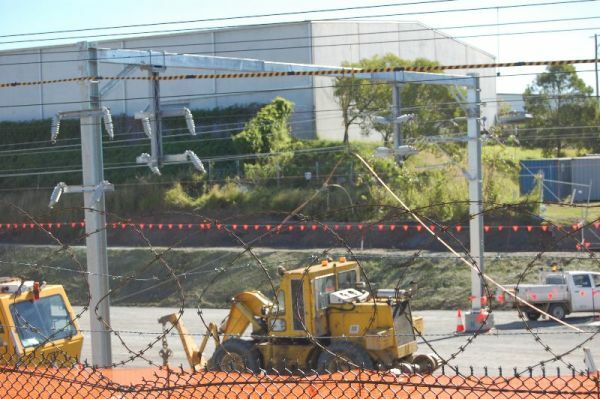 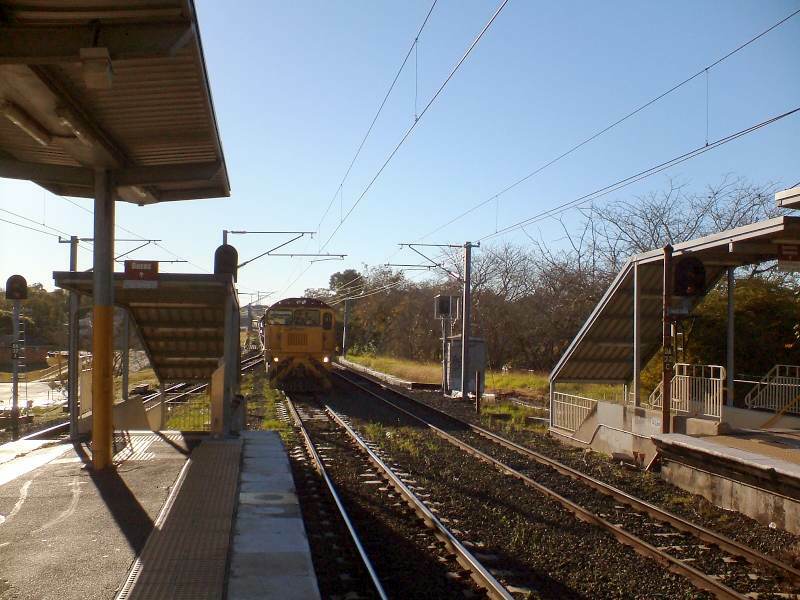 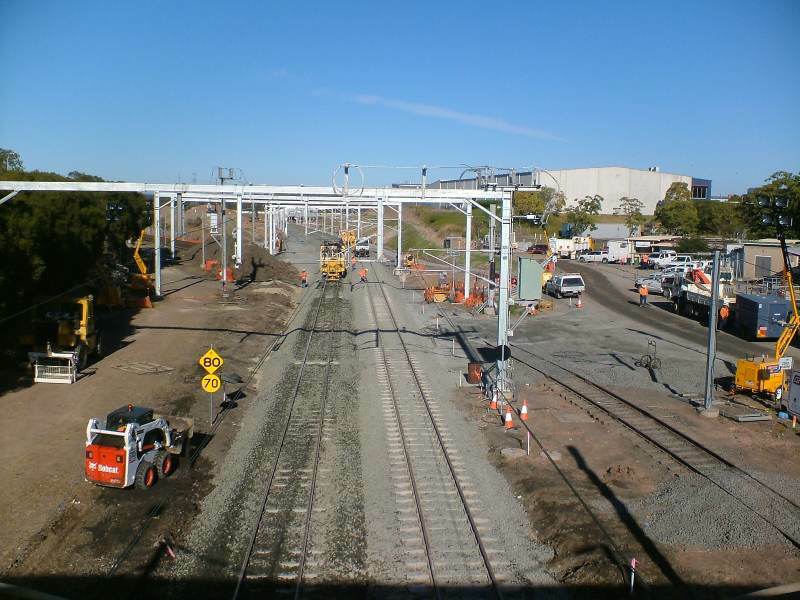 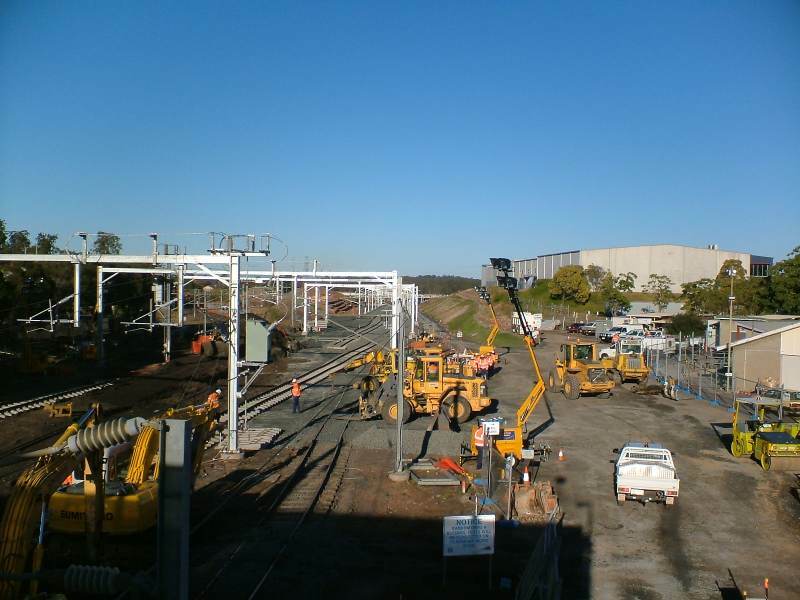 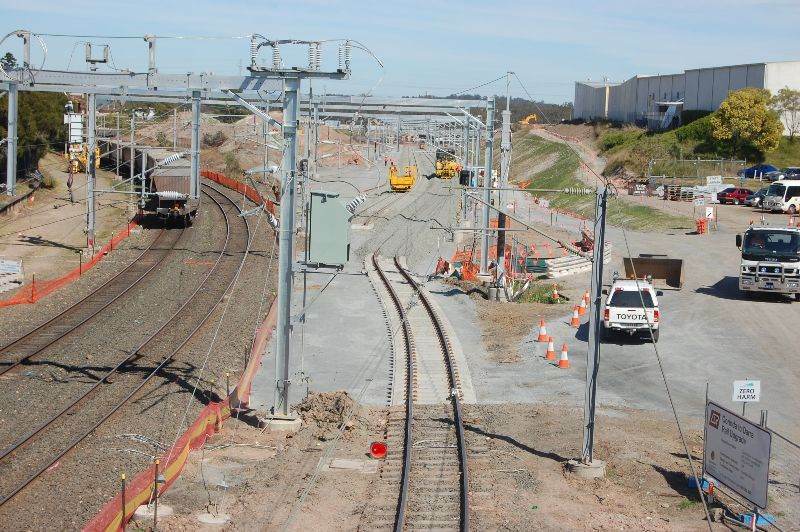 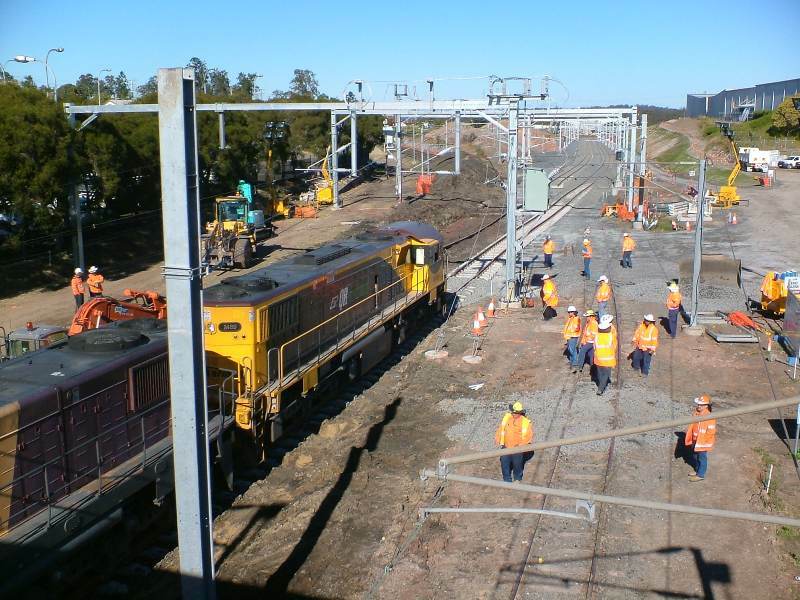 Some photographs showing the works for the new mainline from Darra onwards to Wacol. 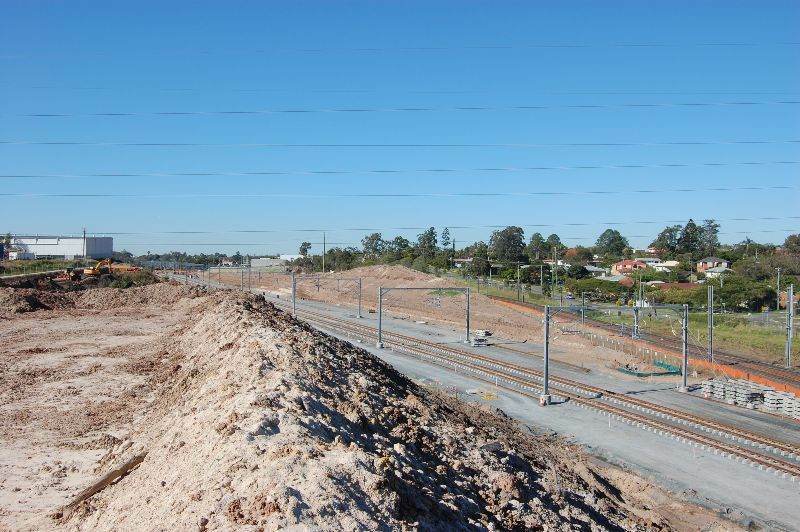 Looking east back to Darra near the Centenary Highway bridge. 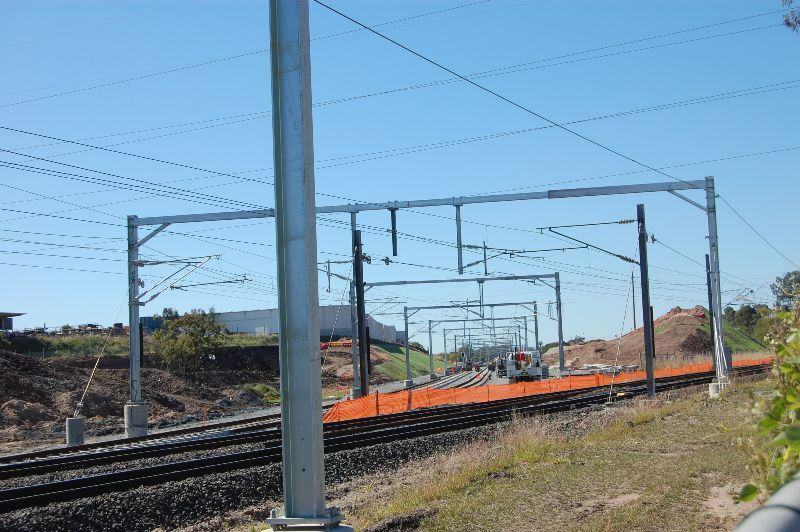 The new mainline formation, masts with capacity for triple track can be seen. 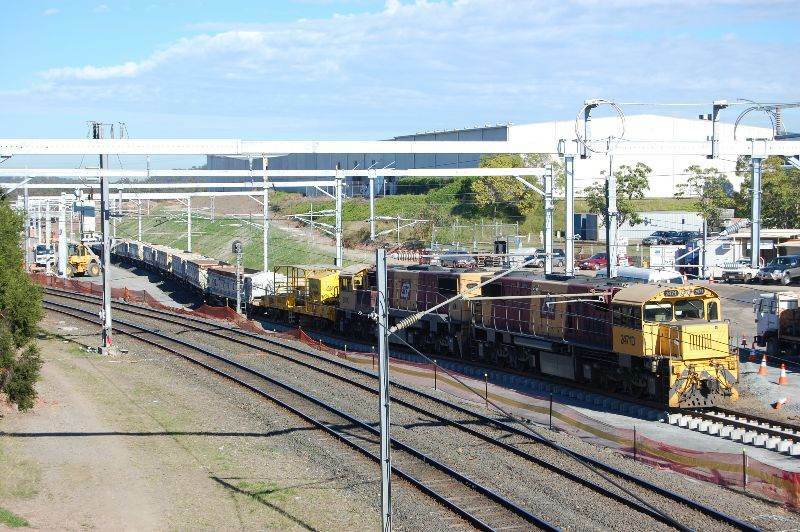 Couple more photographs with better detail from mufreight. 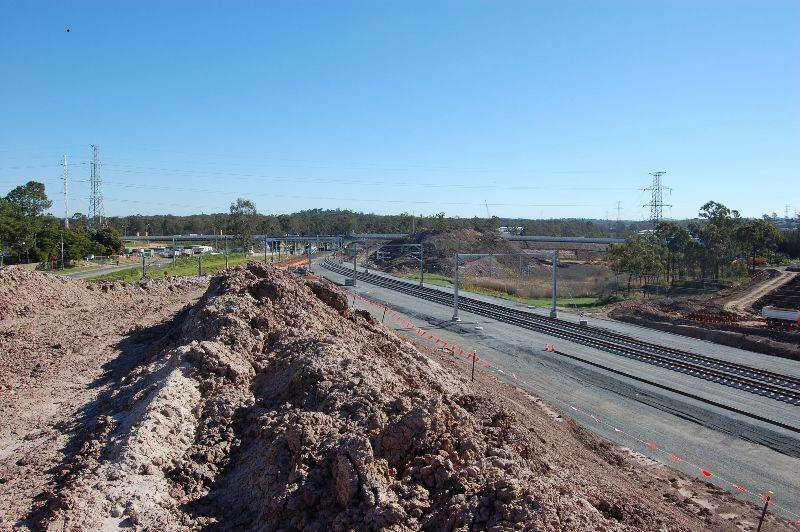 Looking east from a position near the Cetenenary Hwy back to Darra. 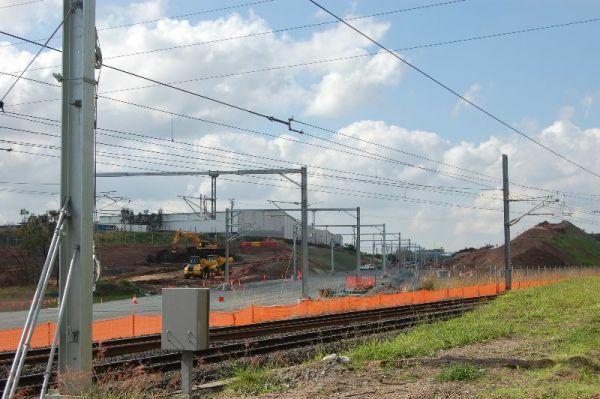 Couple more photographs at what will be 'Springfield Junction' by mufreight. 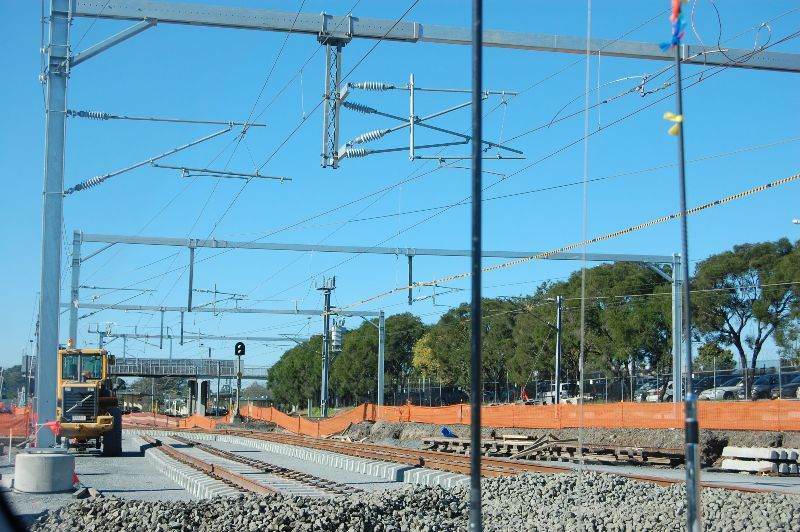 Fittings for overhead wire in place or being fitted. 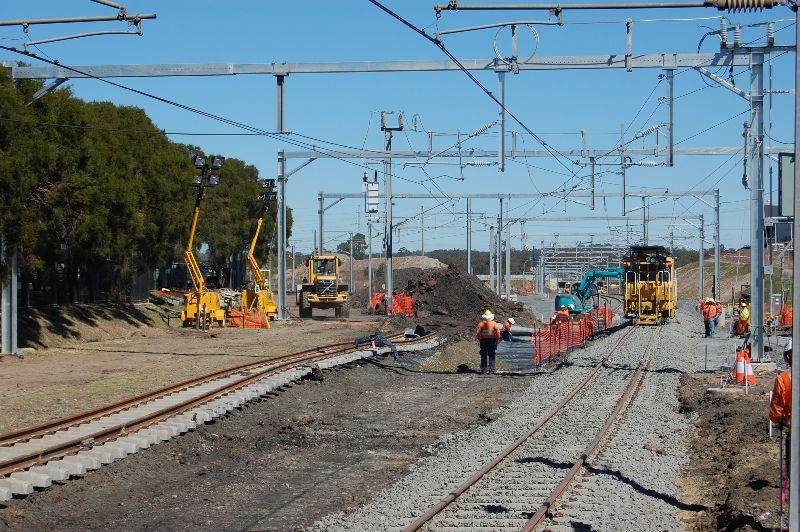 Work proceeding with overhead wiring for new mainline. 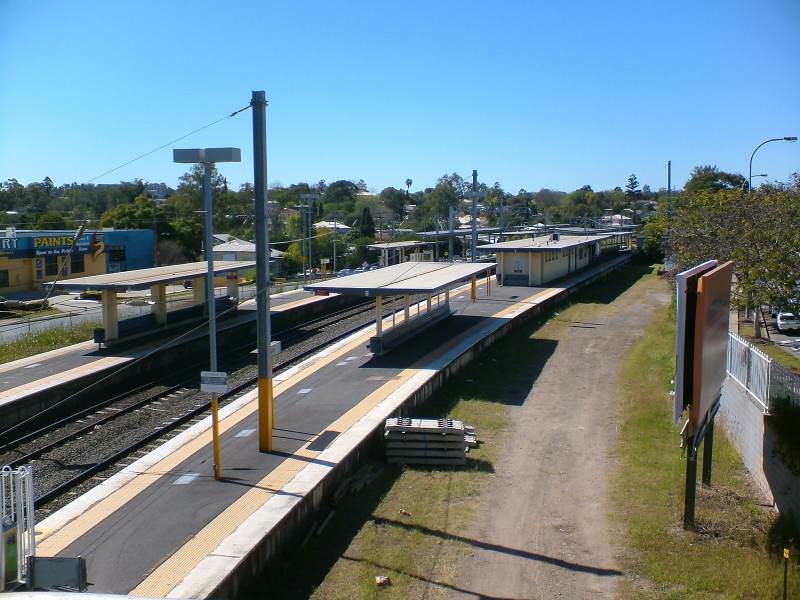 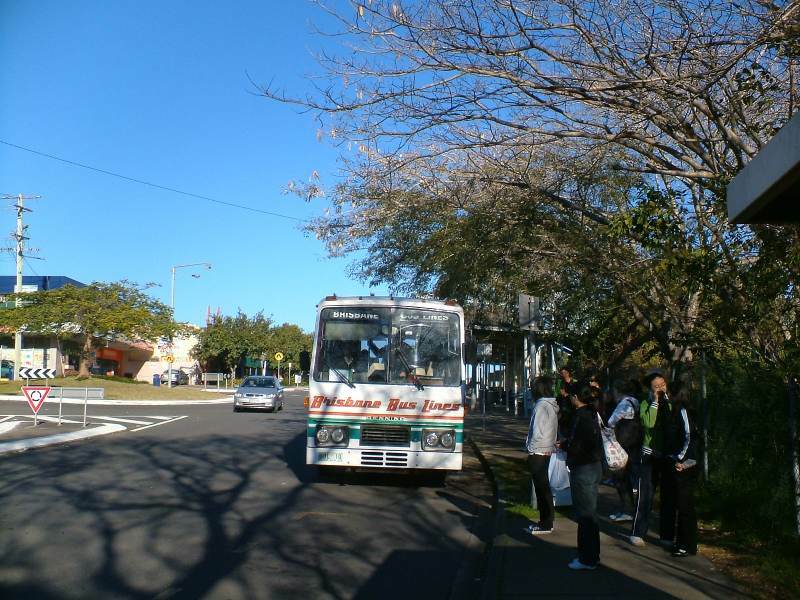 There is a weekend closure planned for Corinda to Ipswich towards the end of August. 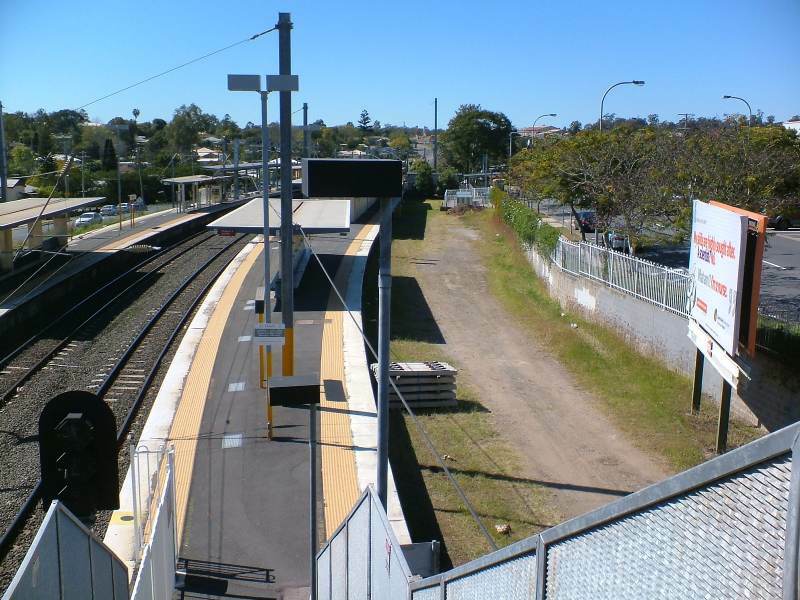 From 10.00pm train Friday 22 August to last train Monday 25 August 2008, all Brisbane?s suburban network inbound and outbound services between Corinda and Ipswich will be replaced by bus services. 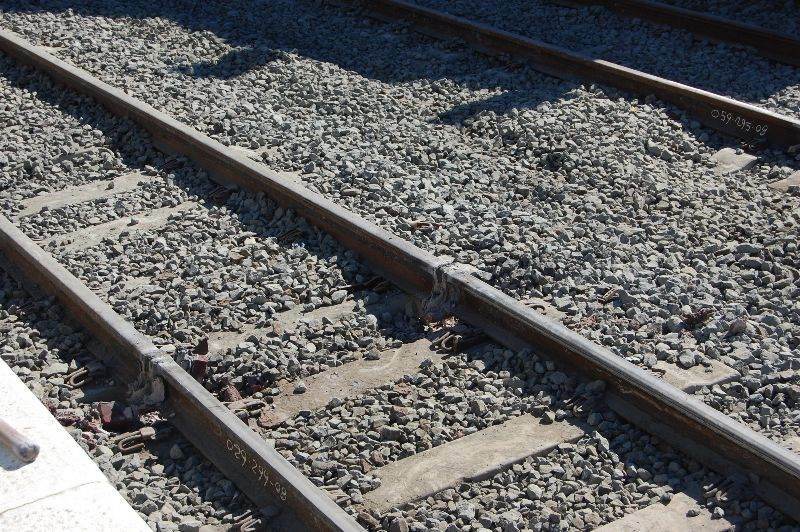 This may be the weekend for the slew to the new mainline? 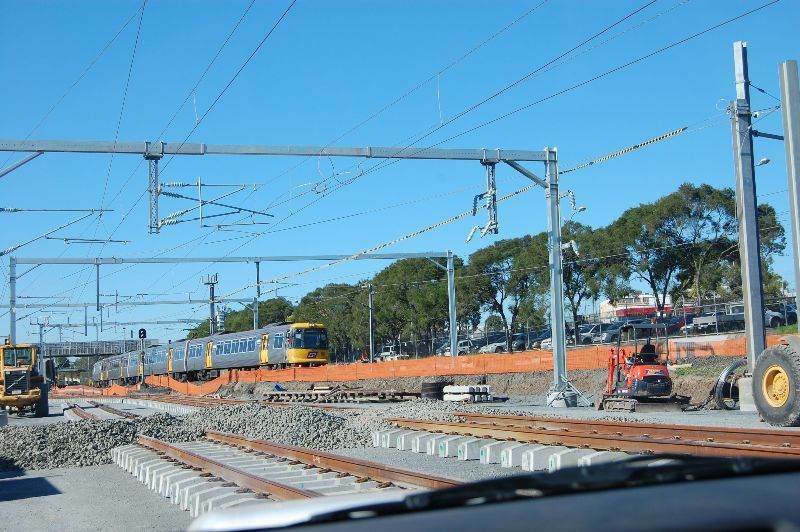 Rail! 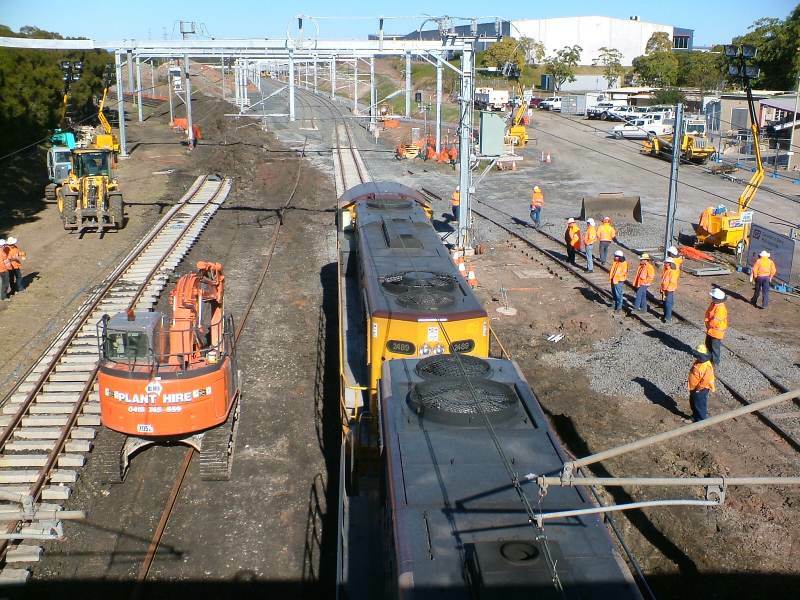 The new mainline is taking shape ..
Snapped from a down service today by mufreight. 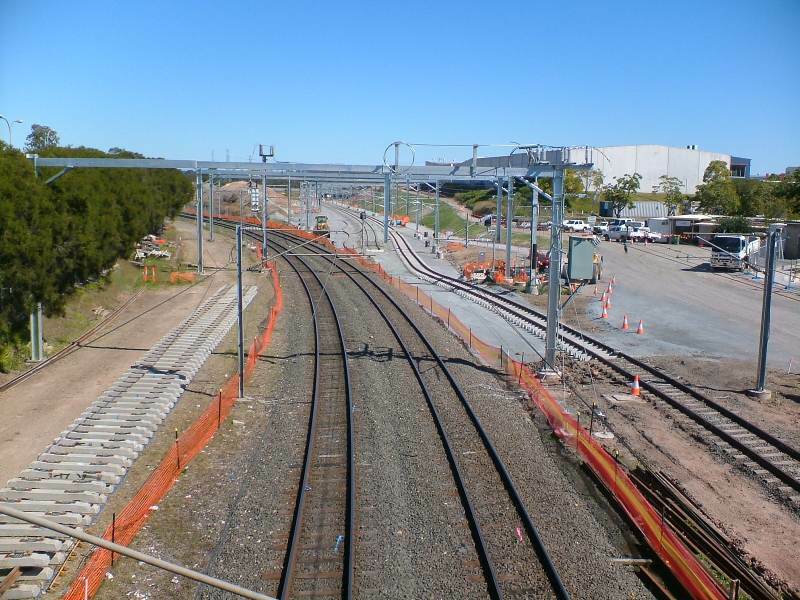 Photograph from the Darra footbridge looking west. 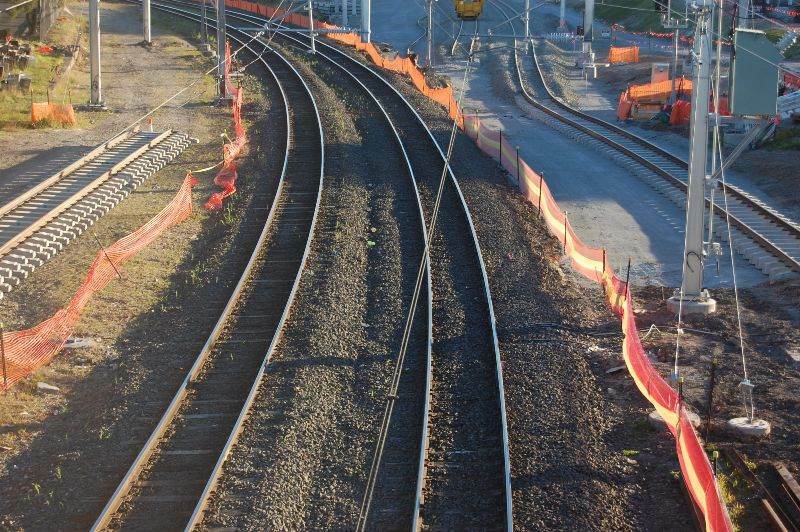 The track already down is the middle of the eventual three tracks. 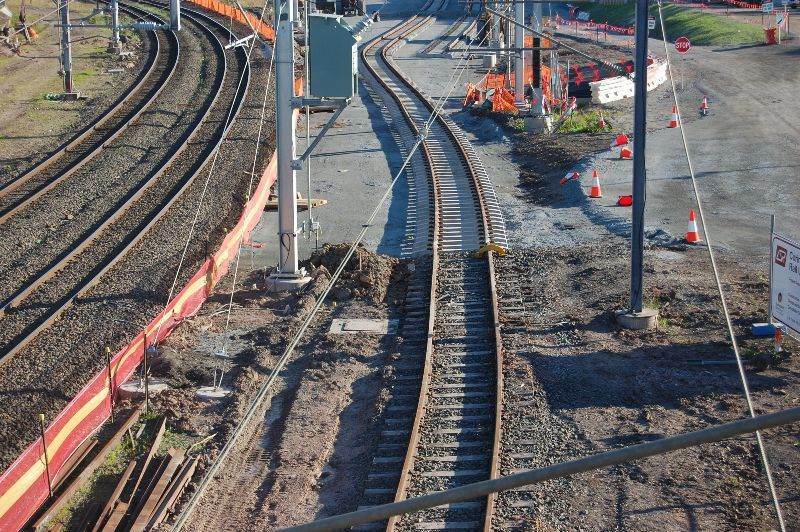 Also noted is that wiring is in place for all three tracks. 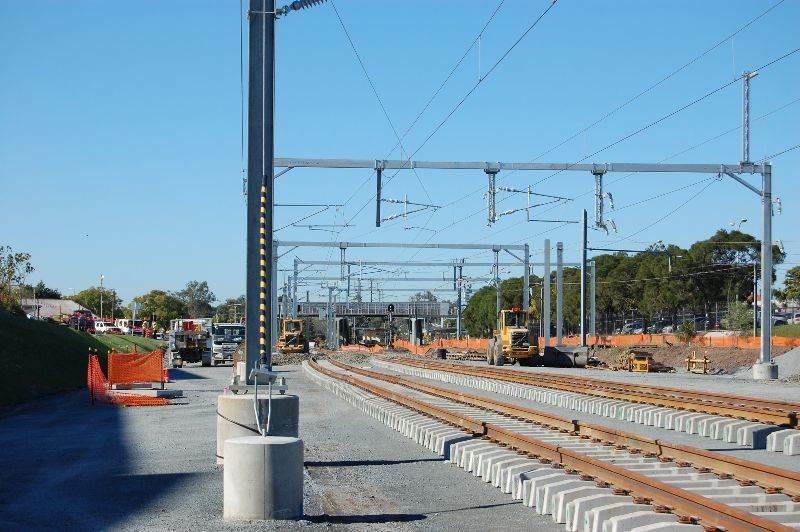 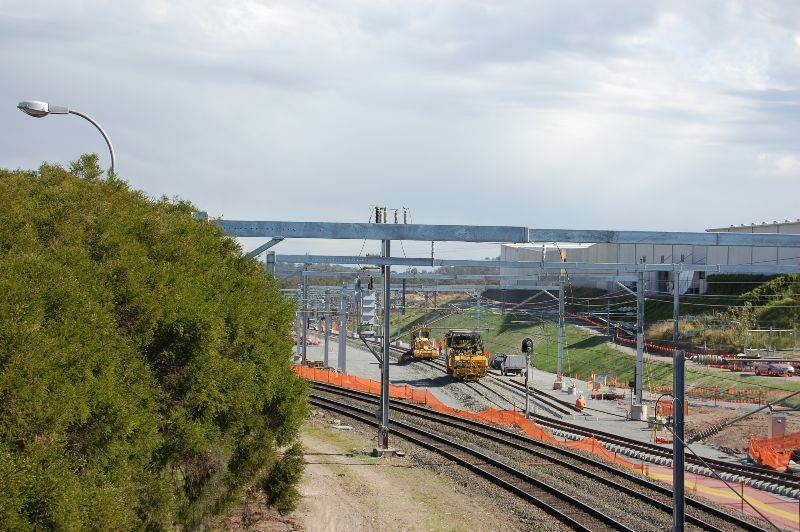 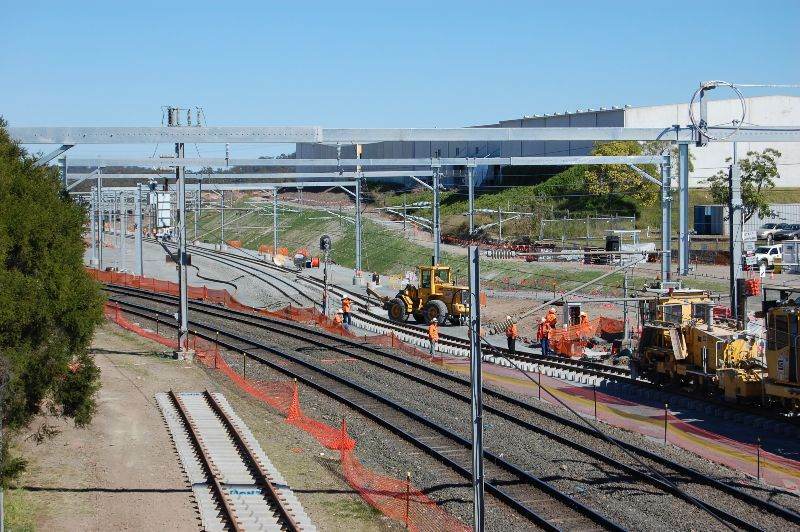 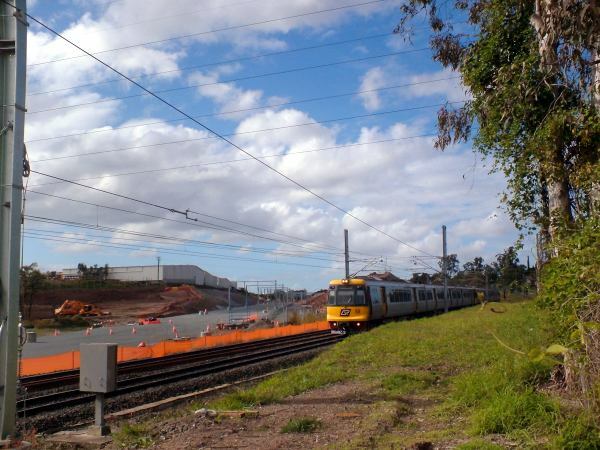 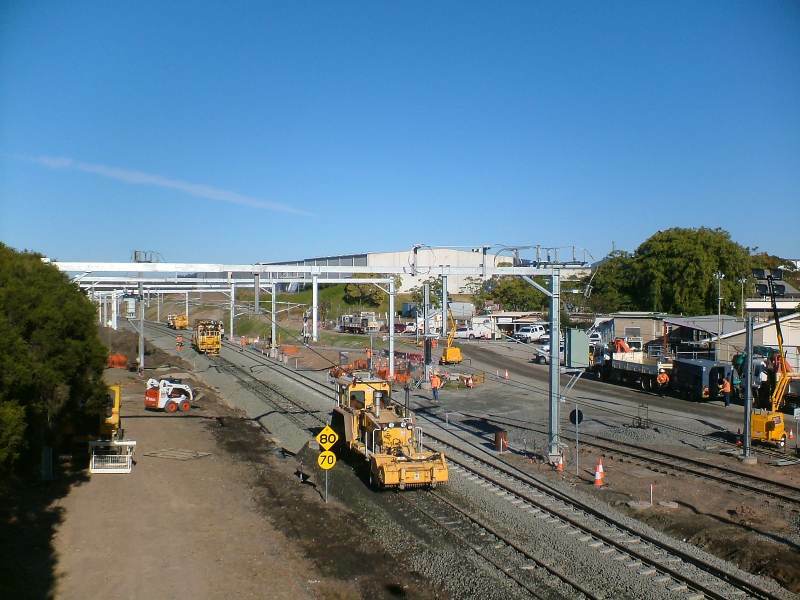 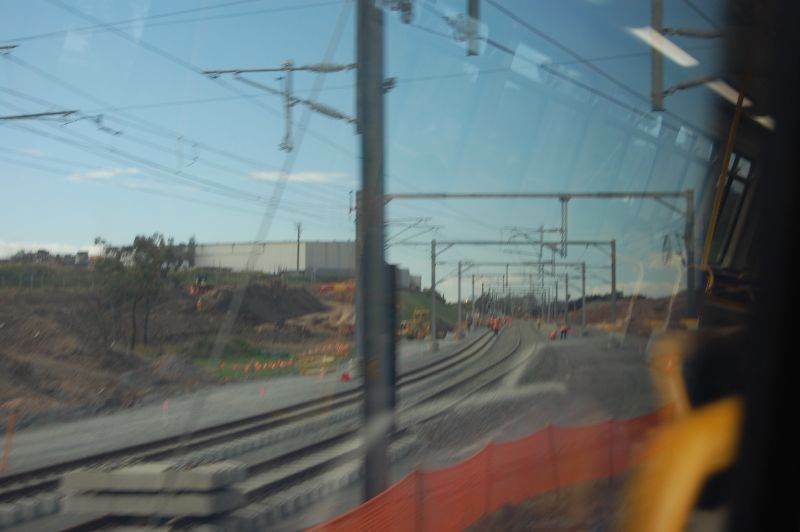 Thanks for sharing those photos ozbob, not being a regular commuter on the Ipswich line it's certainly great to see the progress that's been made. 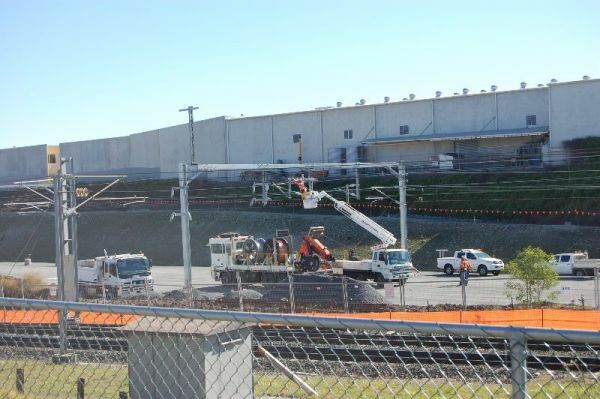 Photograph of the start of the new tower for the high tension transmission lines that had to be relocated and raised to allow for the construction of the overpass for the Springfield line. 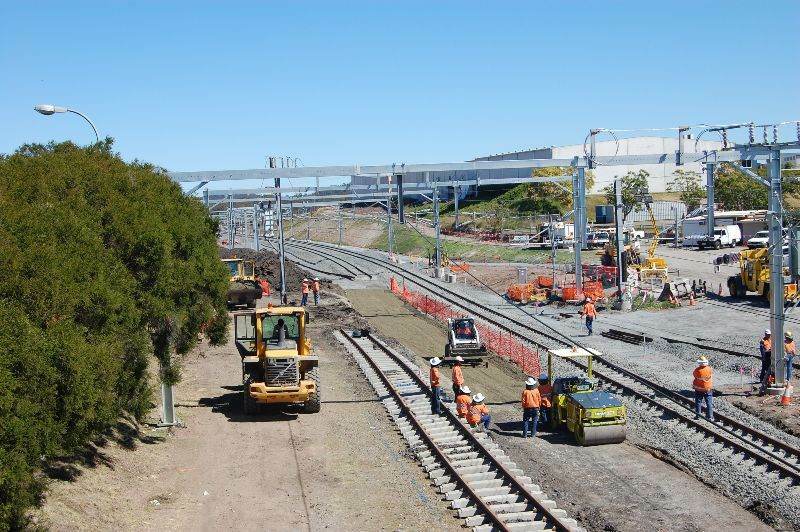 Some more updates photographs. 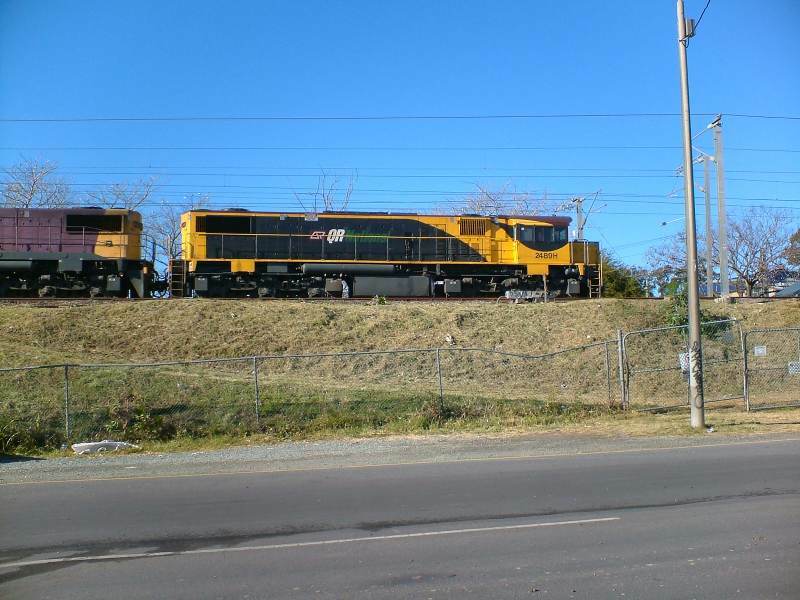 Thanks for these mufreight, they are great. 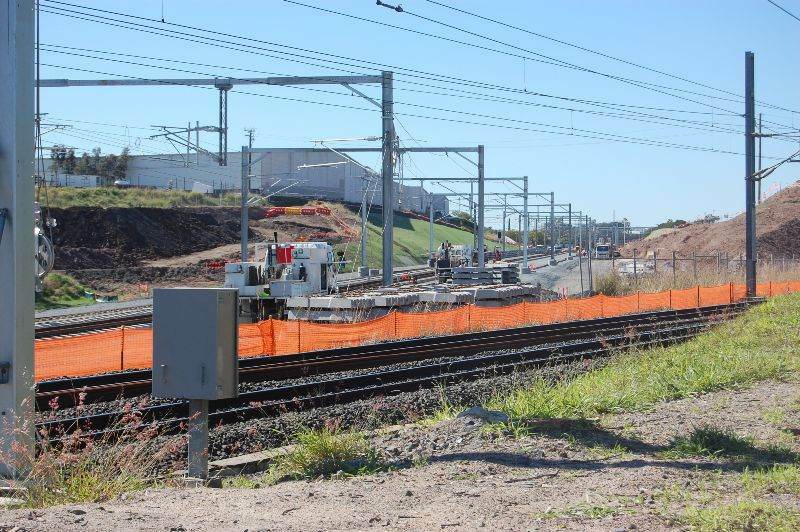 Thanks to Trackstar for allowing mu to visit and the documentation of this important rail project. 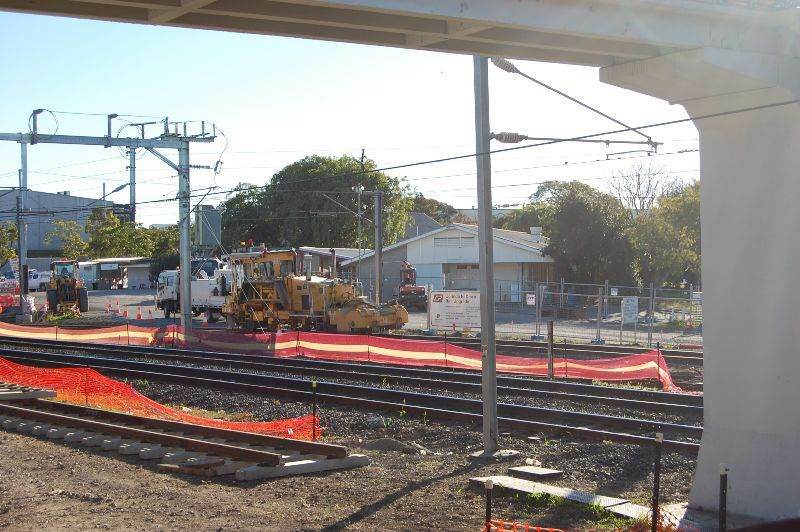 Is this just temporary because I thought that they were removing the rail line adjacent to platform 4 at Darra? 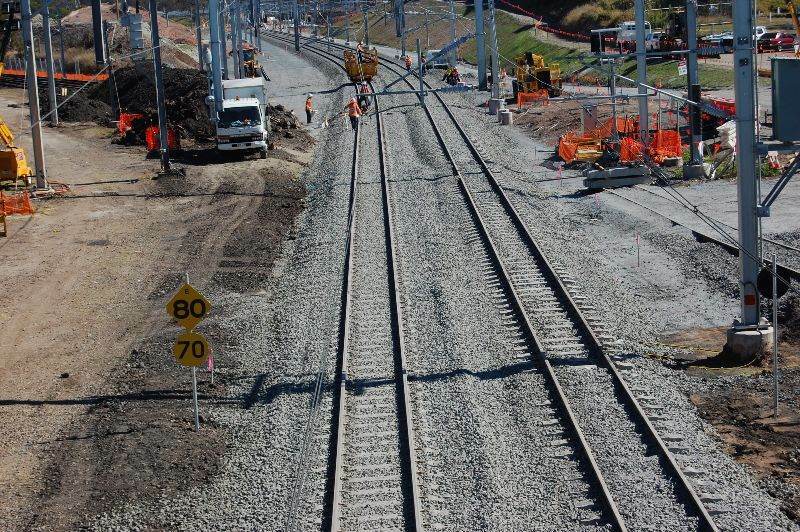 Yes, that is just a temporary connection to allow ballast wagons onto the new line, prior to the actual slew. 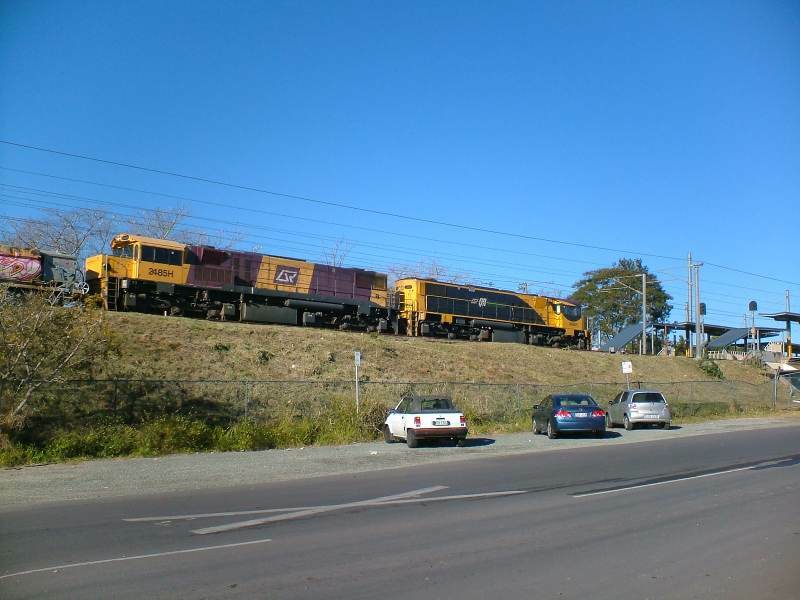 Speaking of which, I saw an up ballast train pass through Oxley this morning about 5.35 am, probably for this work. 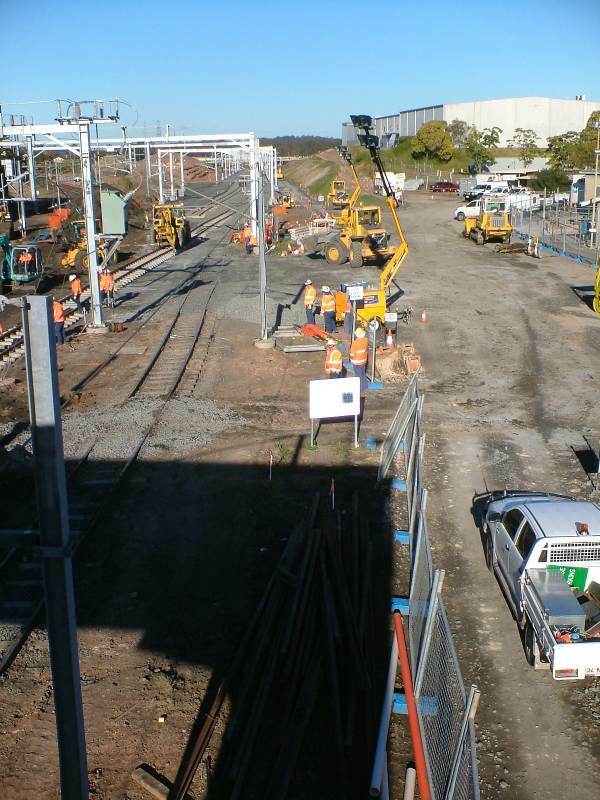 Updates from Darra. 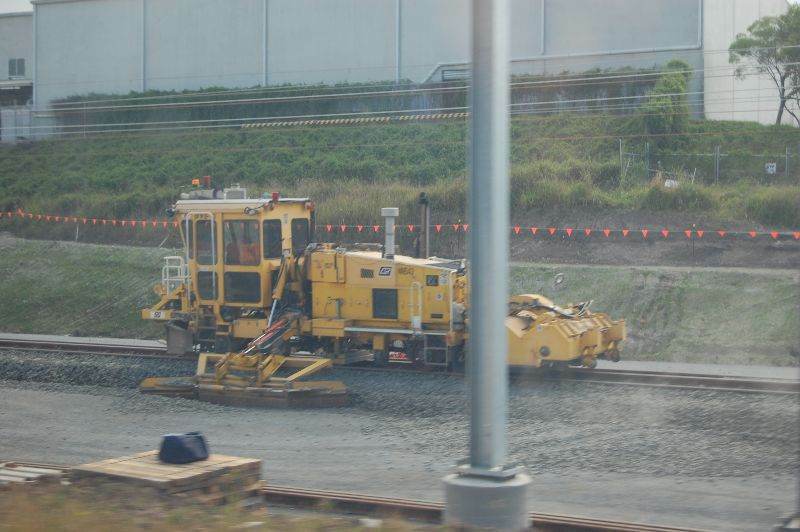 Ballasting under way. 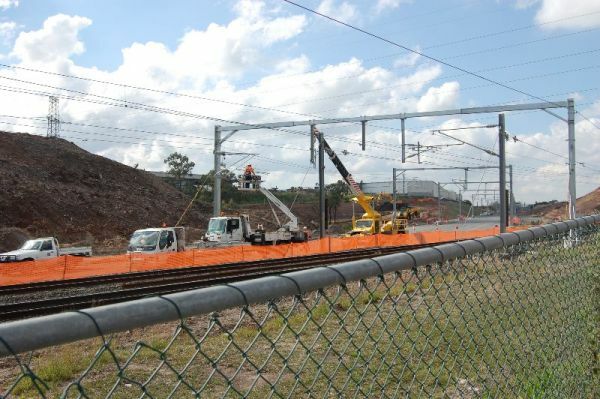 Some more updates, 8 August 2008. 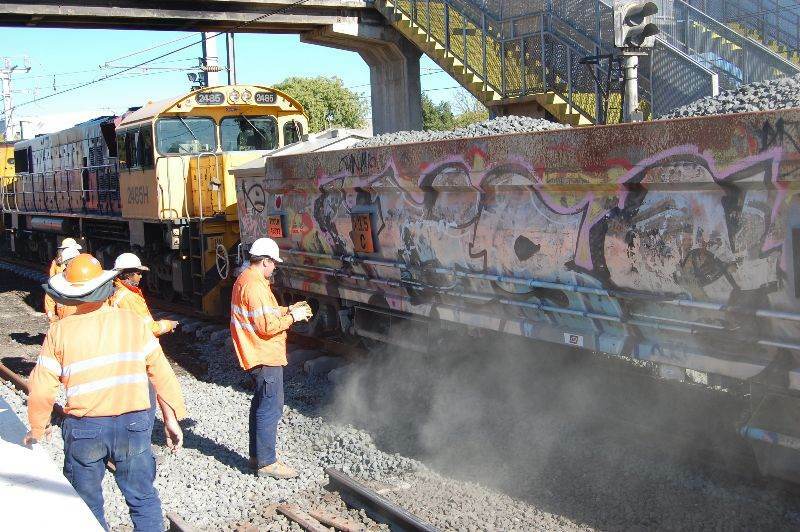 Almost ready for the slew to the new mainline next weekend. 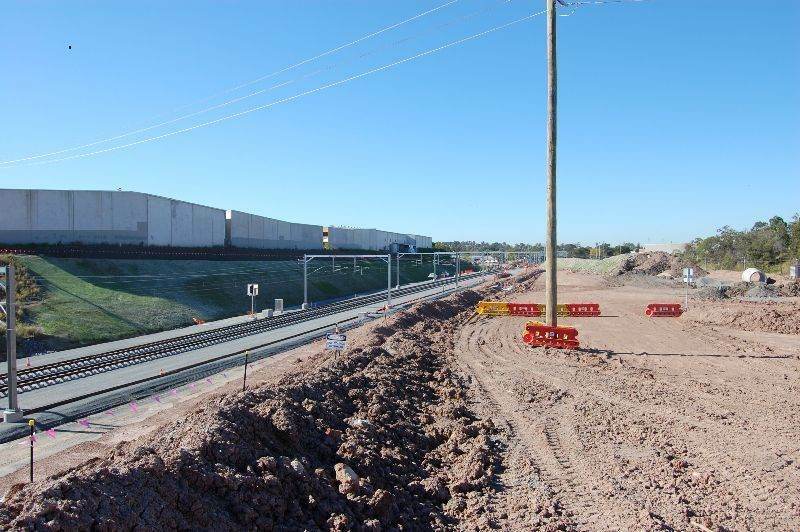 Looking east from near the Highway. 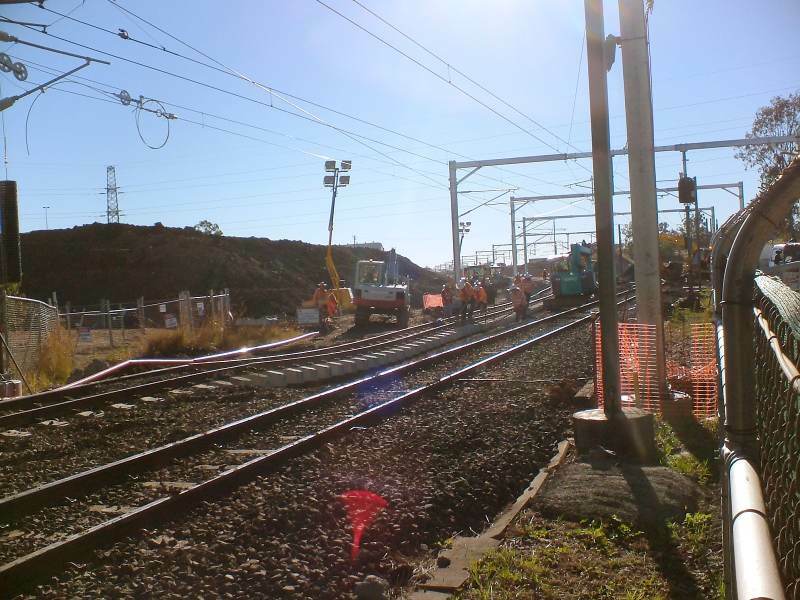 New mainline is now connected. 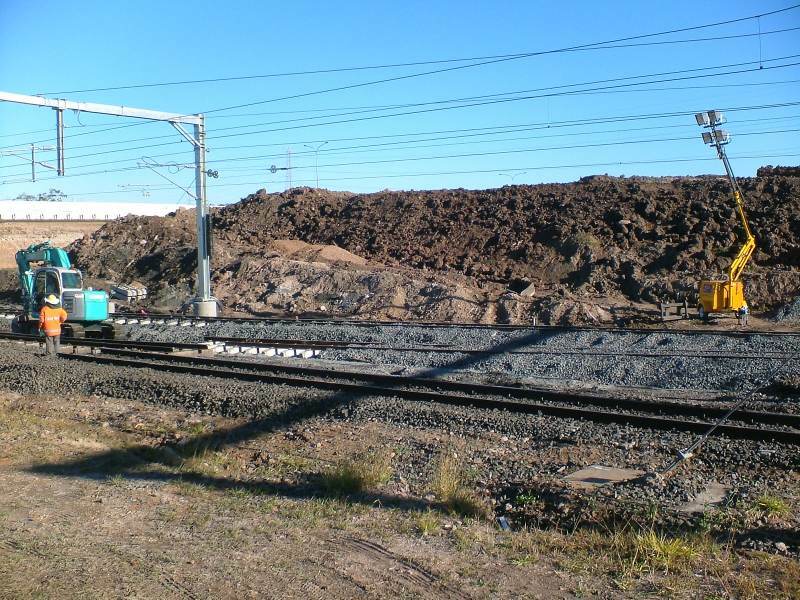 Ballast train in position ready to go. 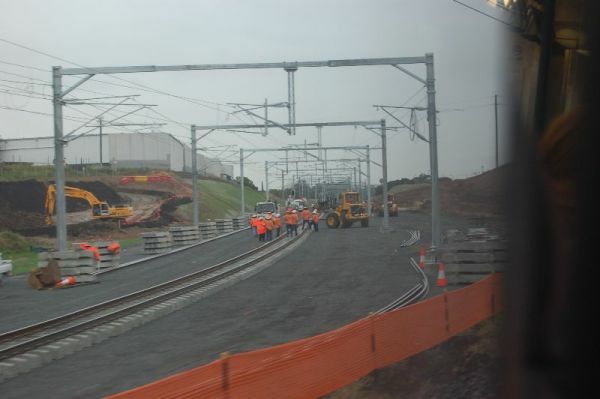 At the other end of the new section of mainline near the highway. 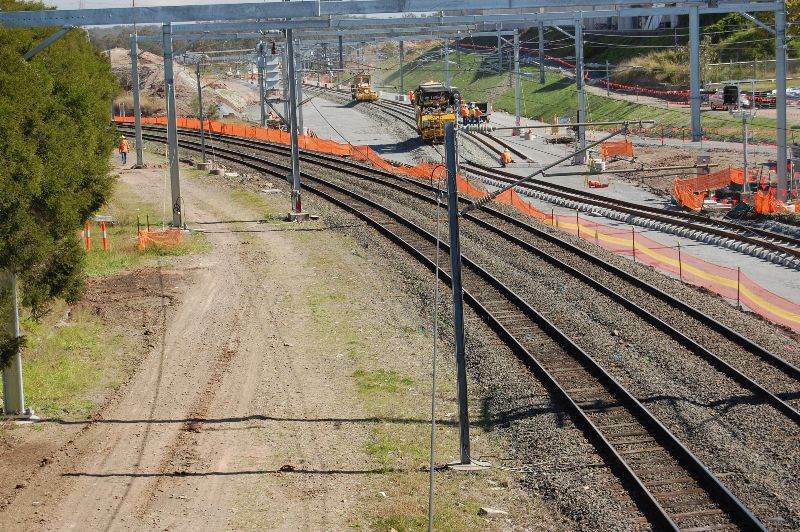 Connected, old track now isolated. 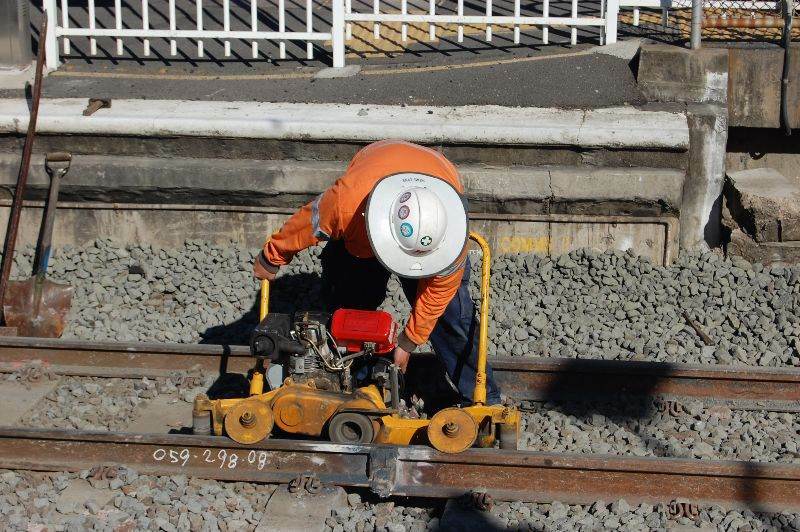 Will be removed in time. 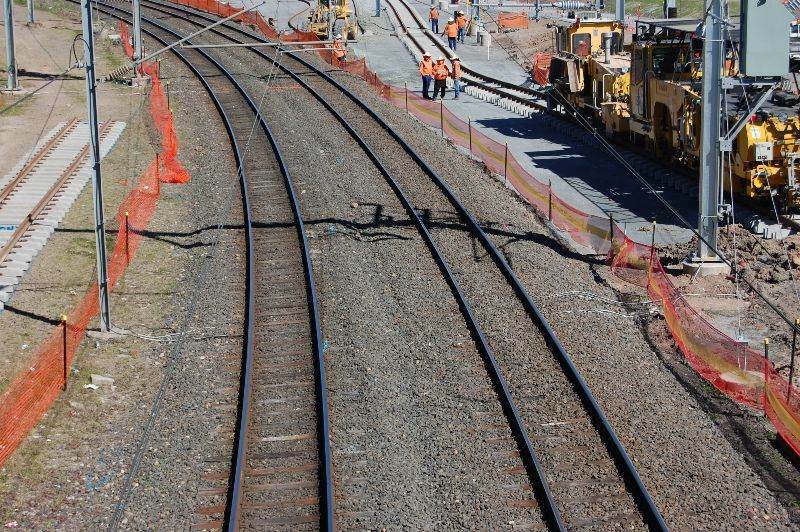 New mainline now almost ready for traffic. 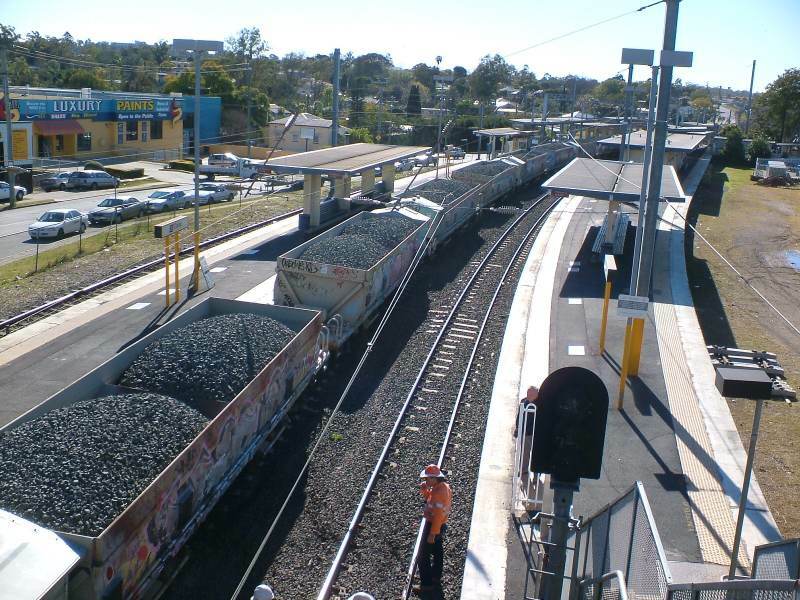 It is believed that coal trains will commence later this evening (24th). 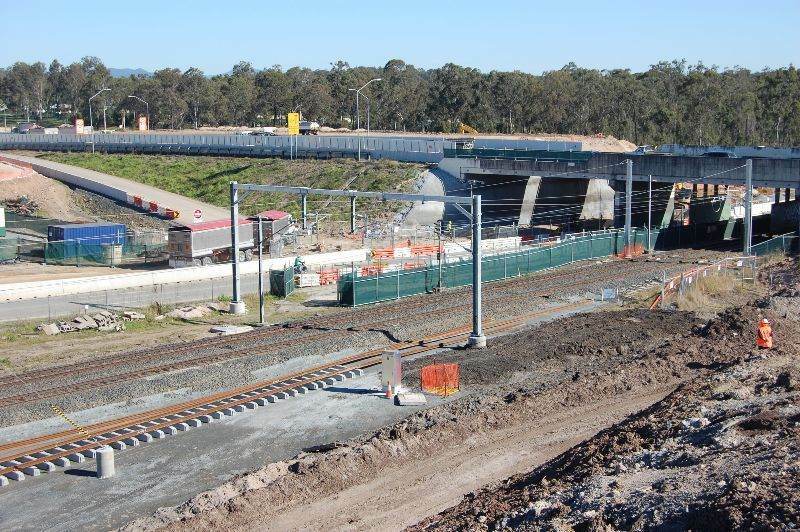 Some photographs from the footbridge looking west at Darra early this morning, 24th August. 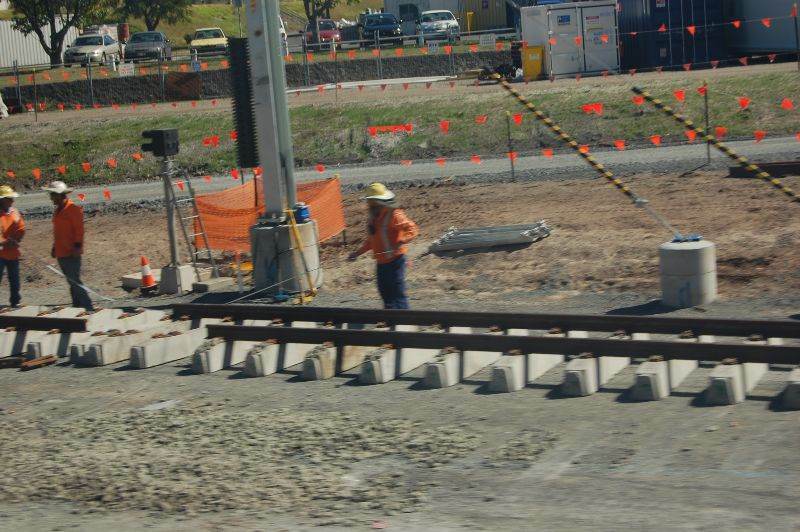 I am sure the train crew will appreciate the new alignment. 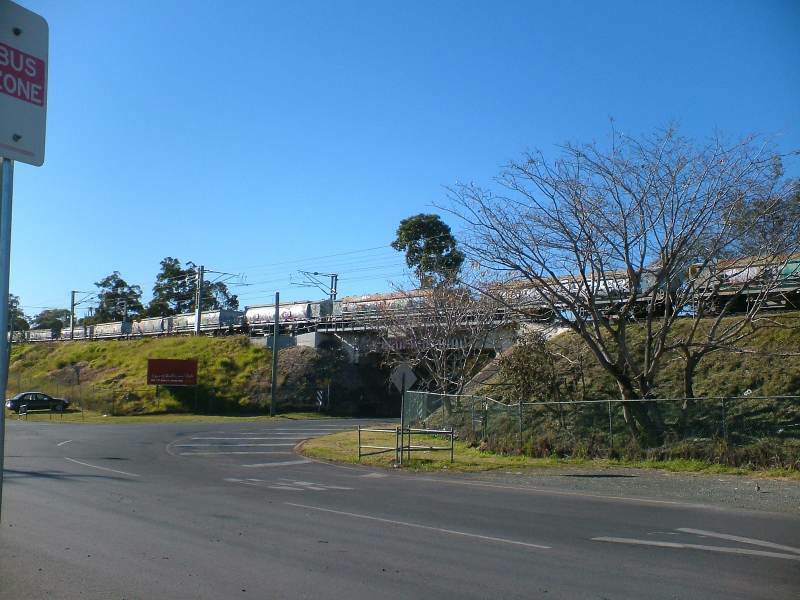 I caught the 6.12am down from Oxley. 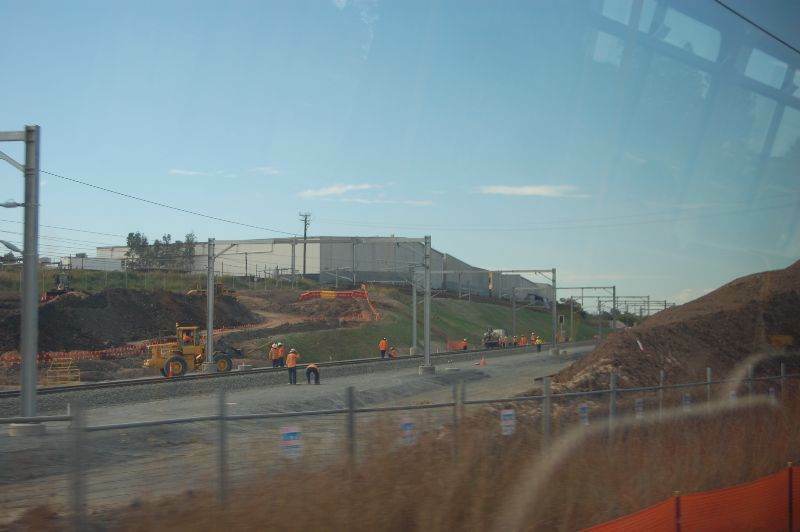 Trains seem to running normally on the new section from Darra West to Darra. 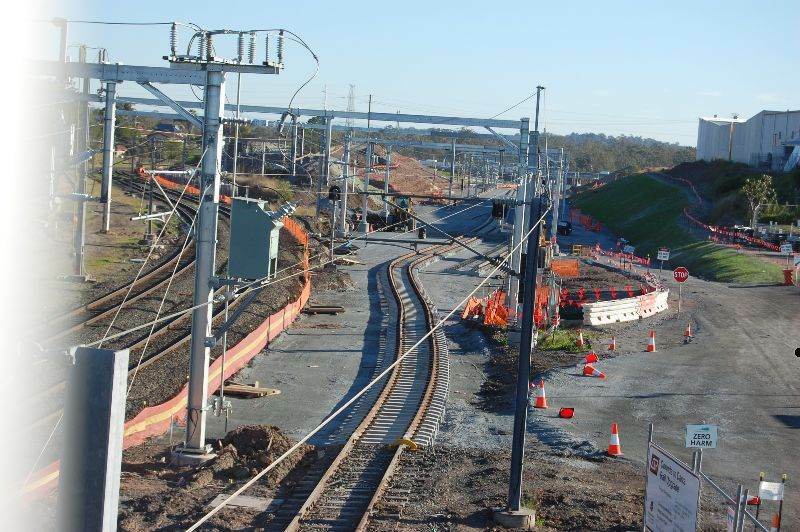 Congratulations on successful commissioning of a what is a significant project. 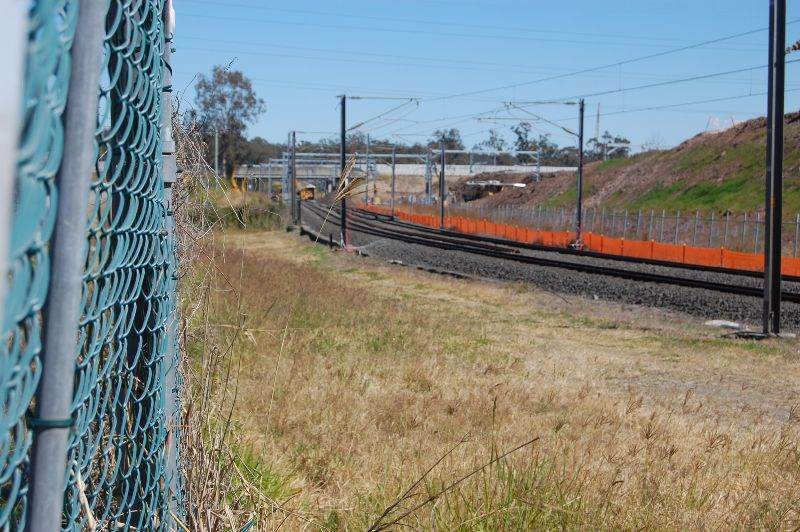 Down near Centenary Highway at Darra West. 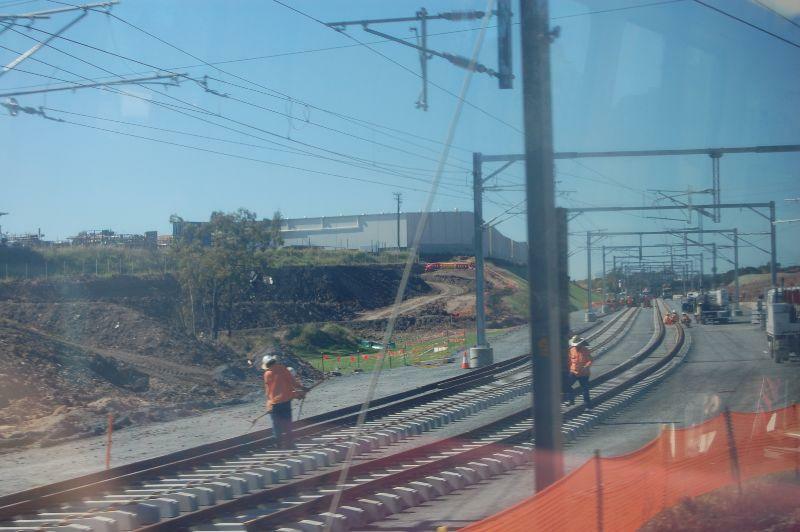 Photograph from train today on the new mainline looking across to the old section just up from Darra. 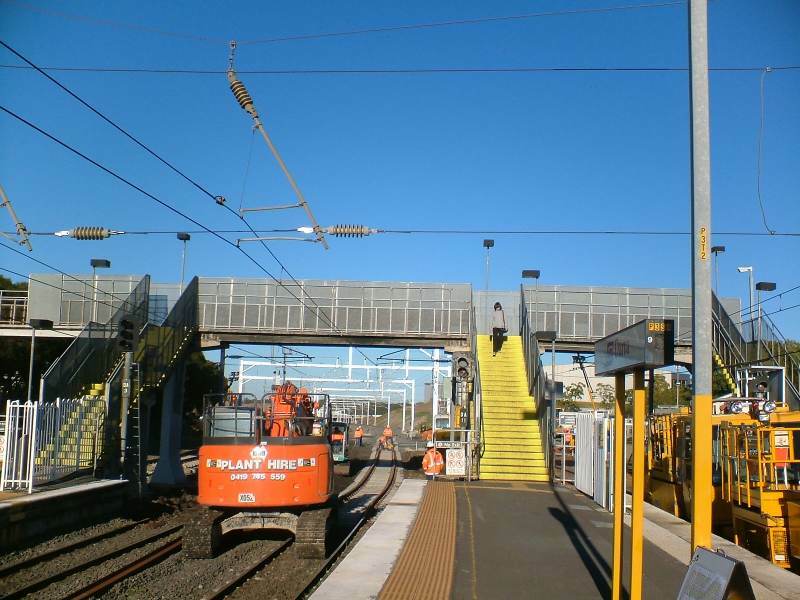 Electric overhead removed. 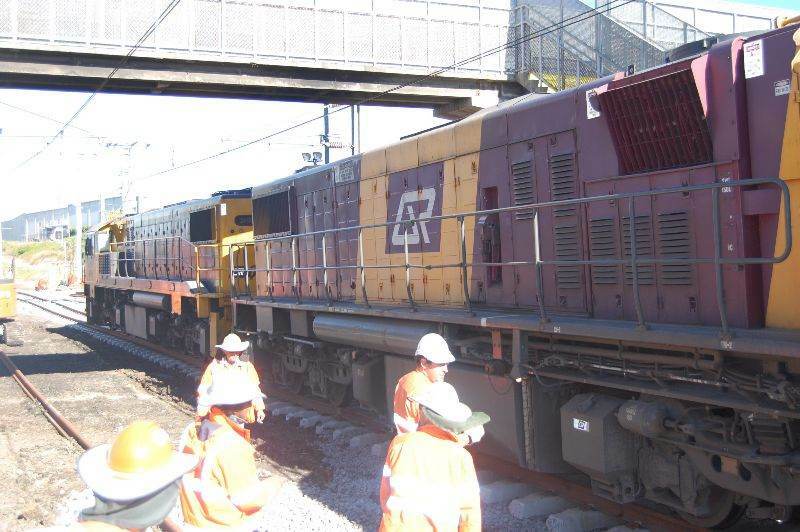 Bumping this up for a look back at a bit of history.